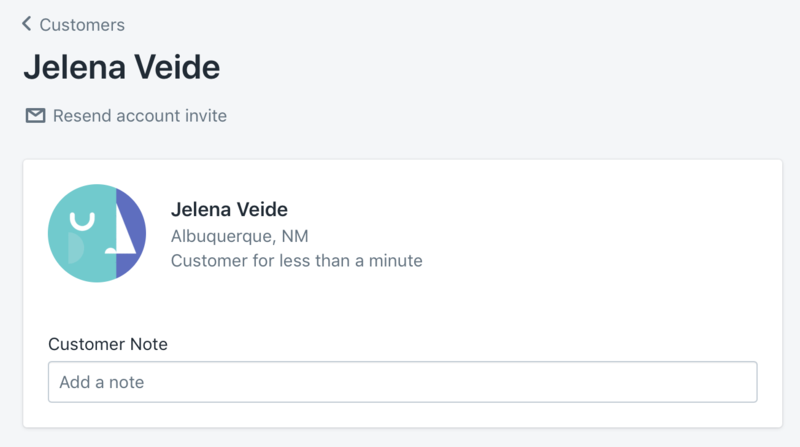 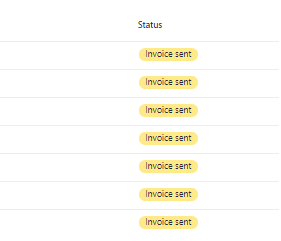 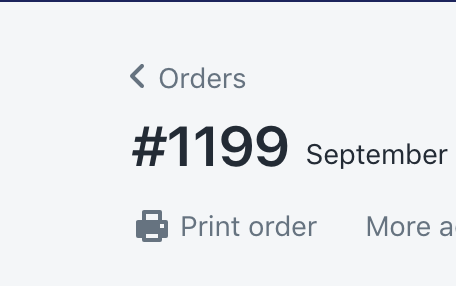 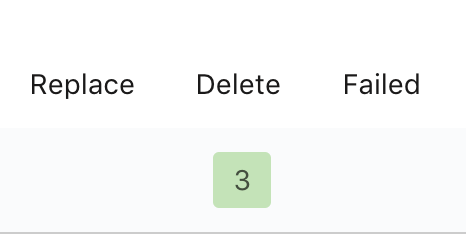 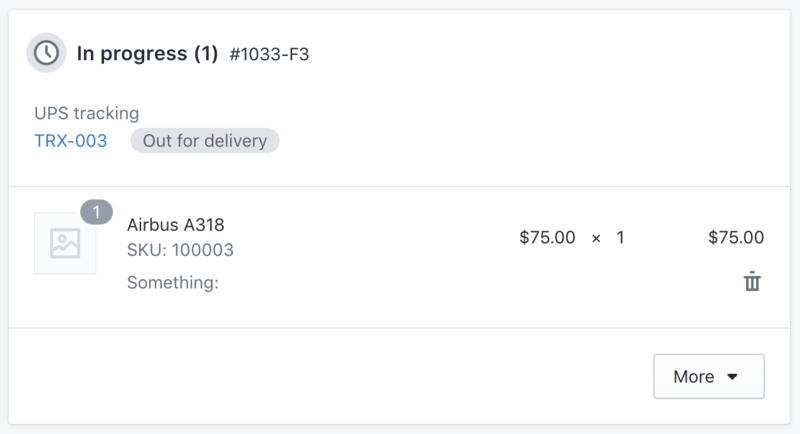 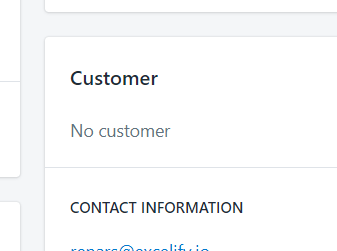 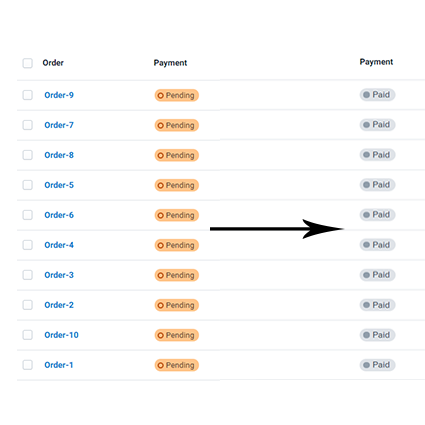 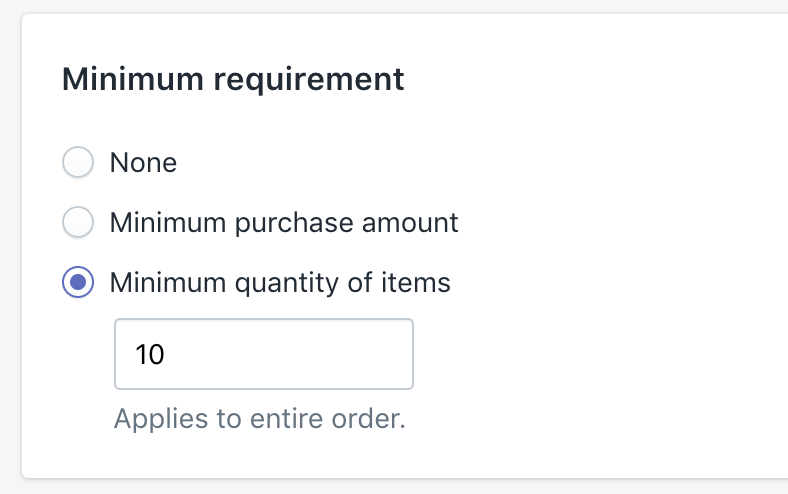 How to change existing Shopify Orders status to "Paid"? 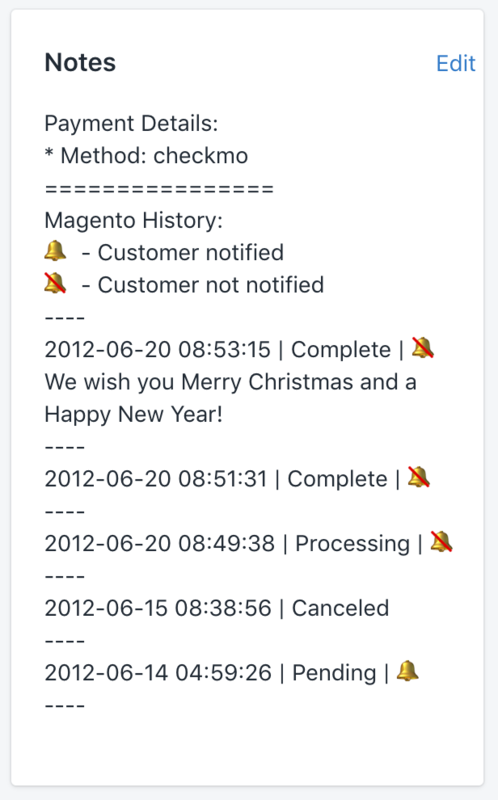 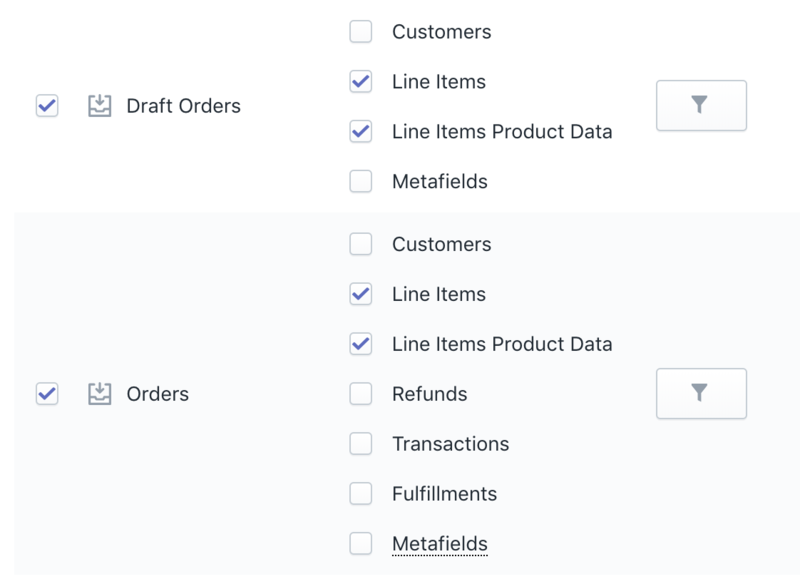 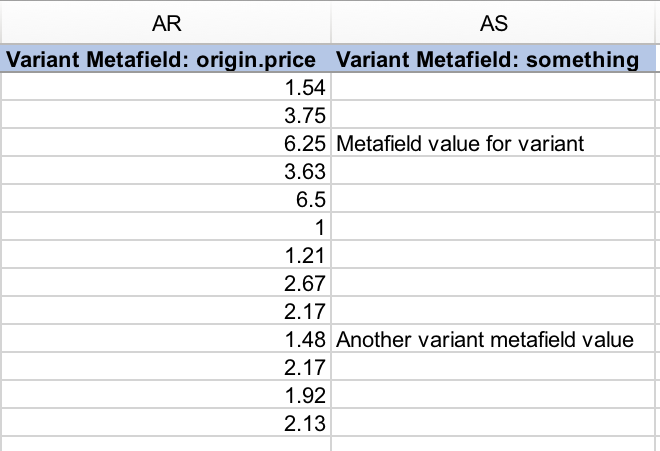 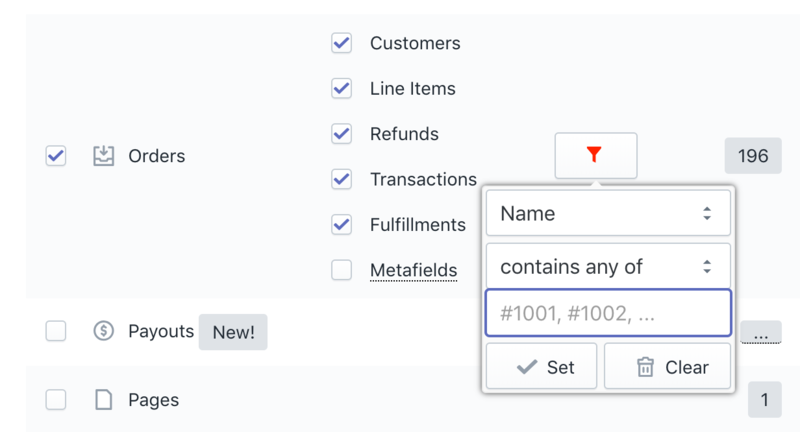 How to manage Shopify Metafields? 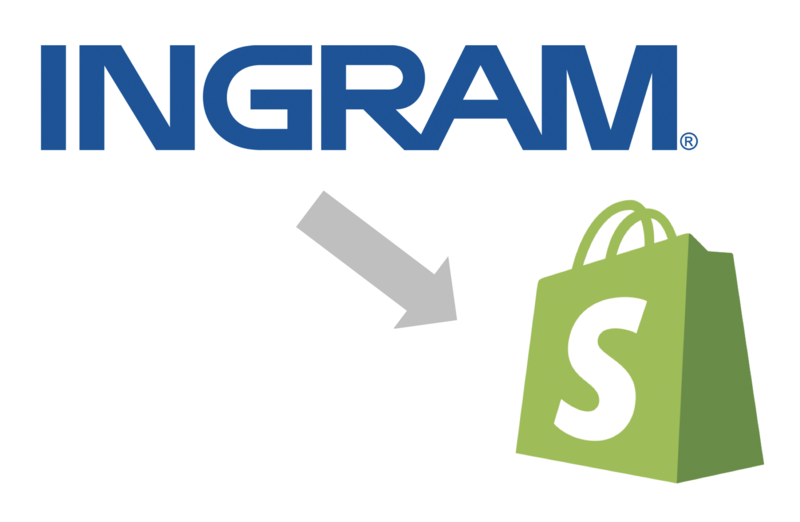 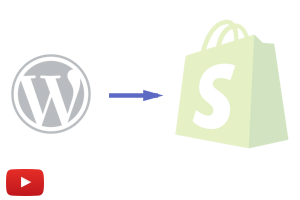 Those tutorials will show you everything you need to know about migration from Magento to Shopify. 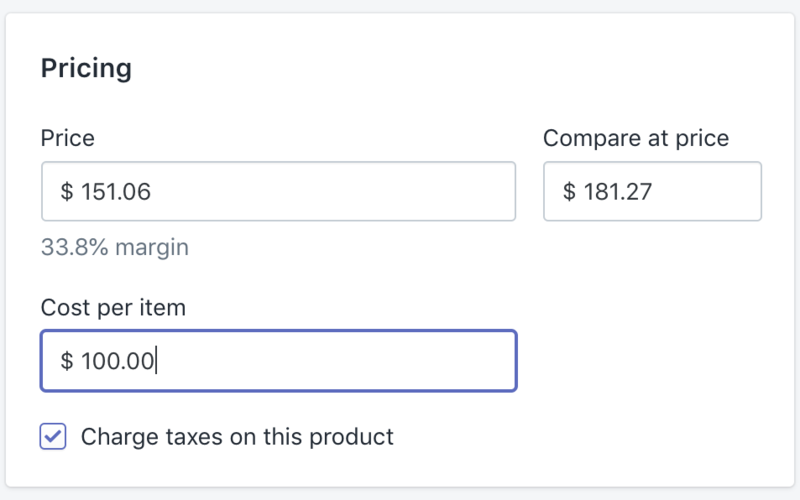 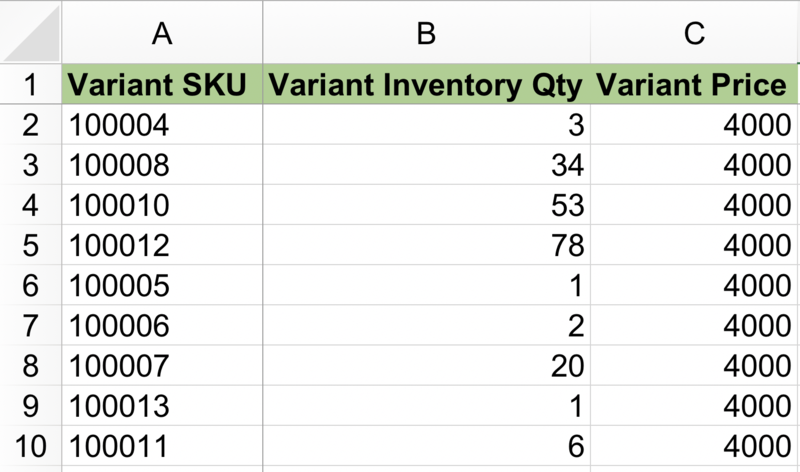 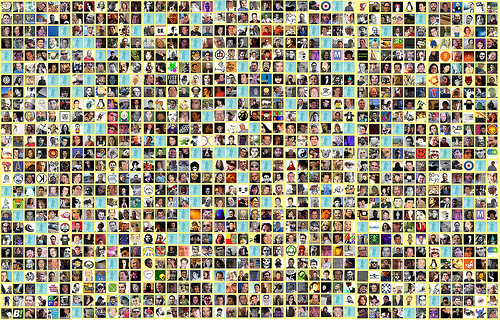 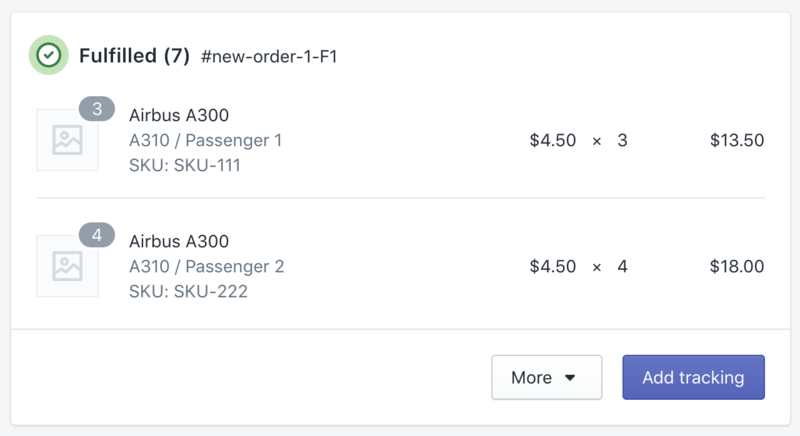 How to update the Variant Cost of your Shopify products in bulk? 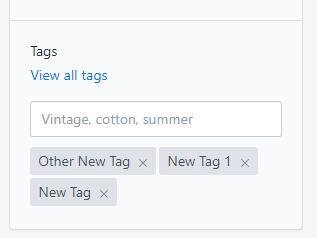 Clone Shopify Blogs, Blog Posts (Articles) and their Comments to other store? 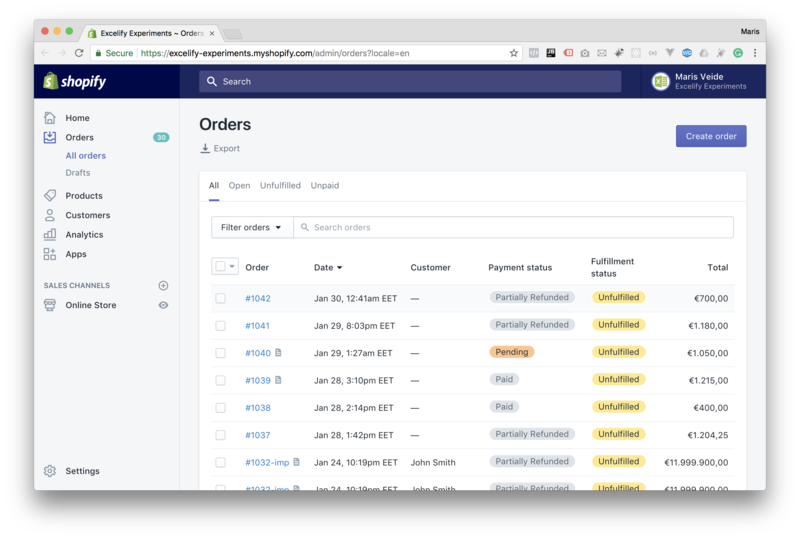 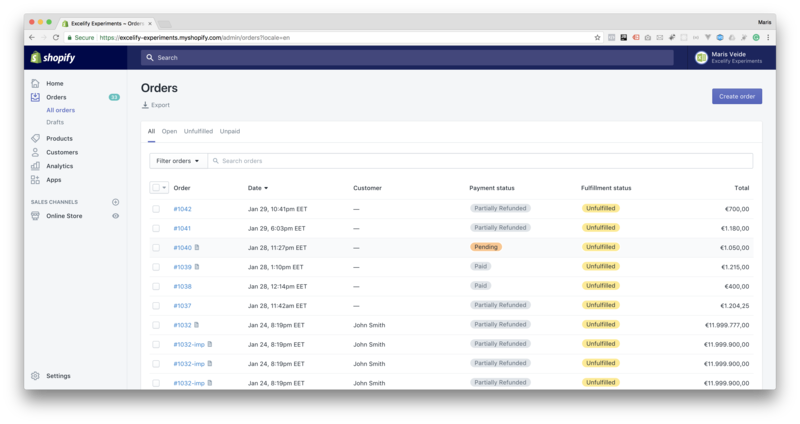 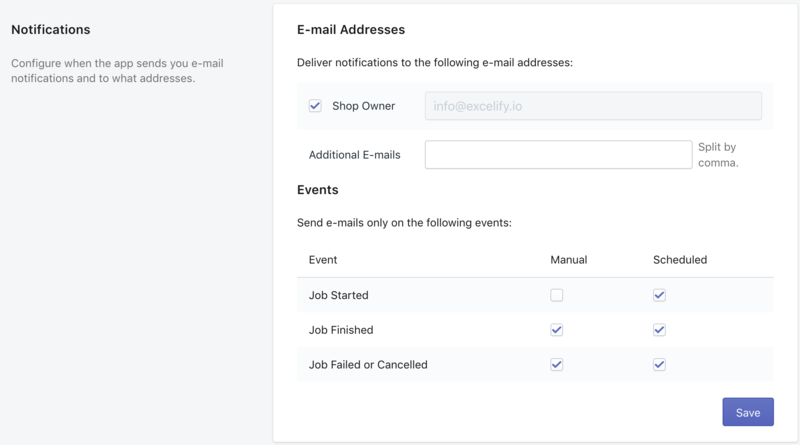 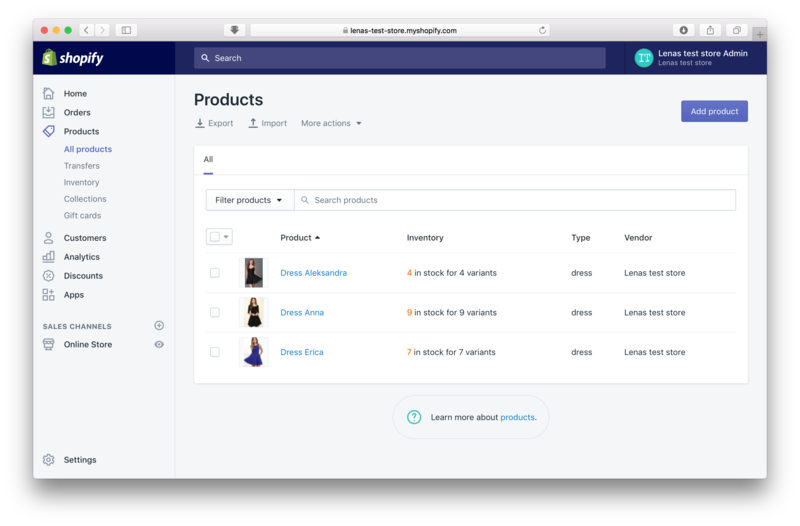 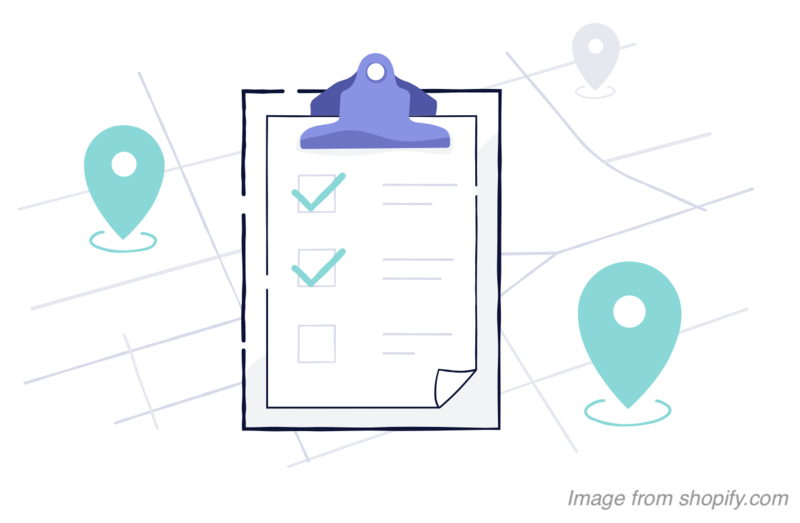 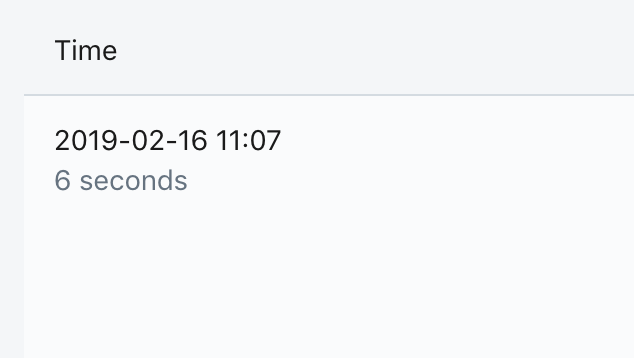 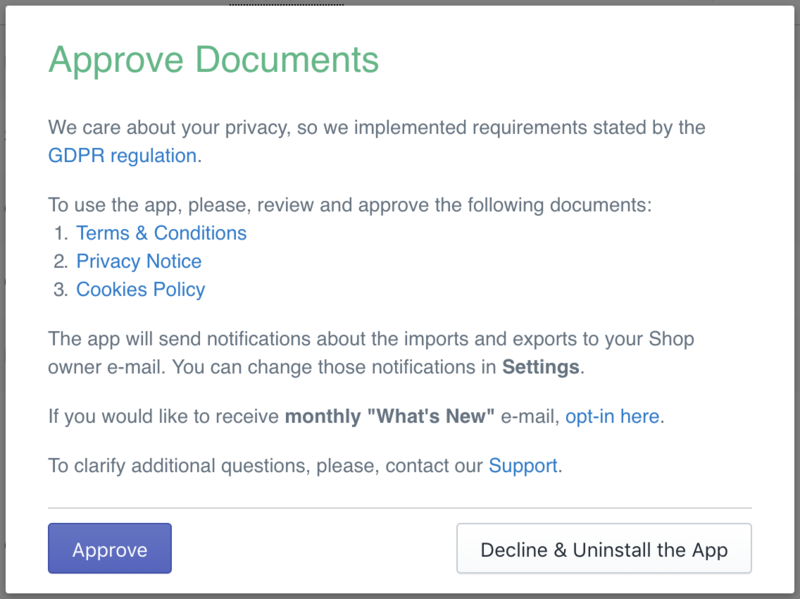 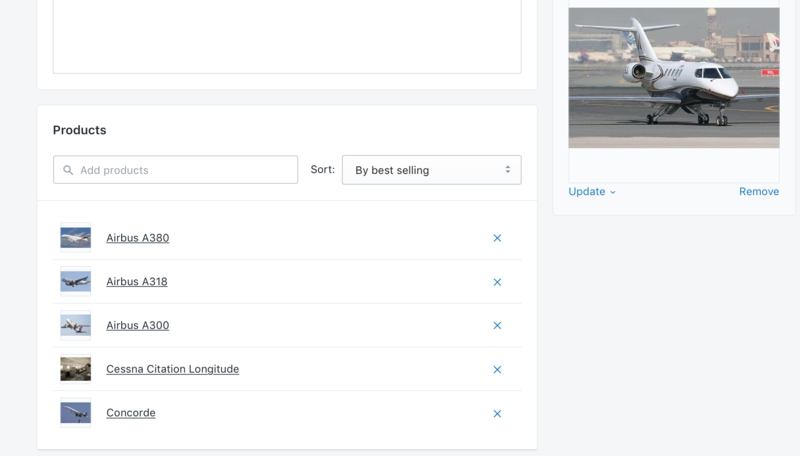 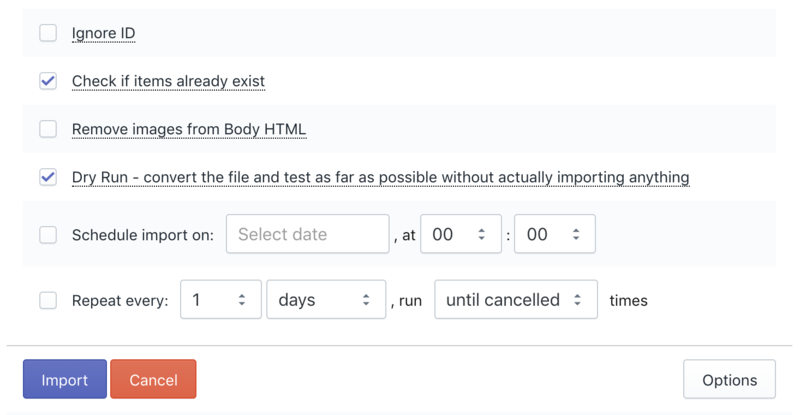 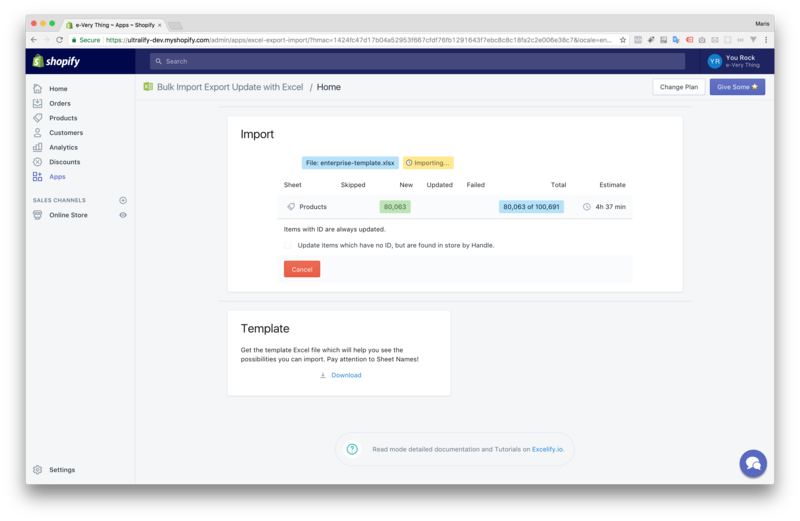 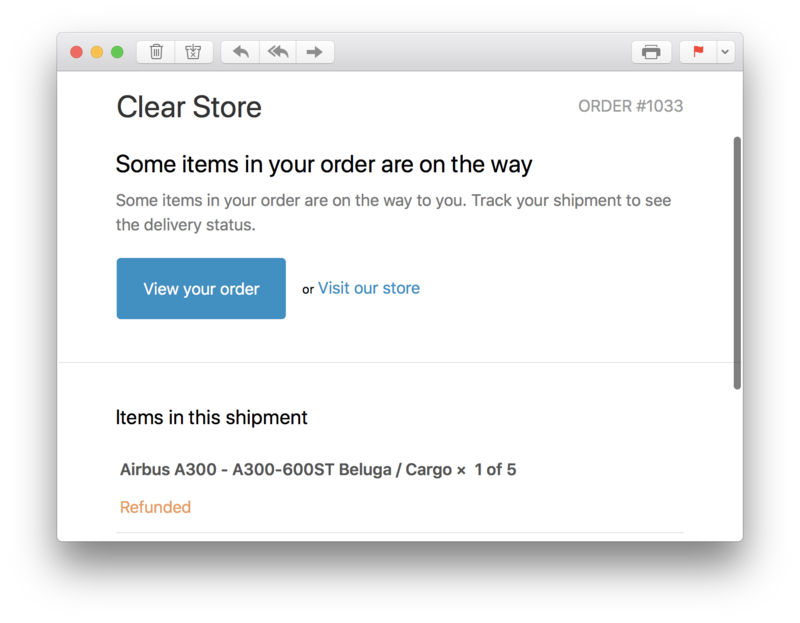 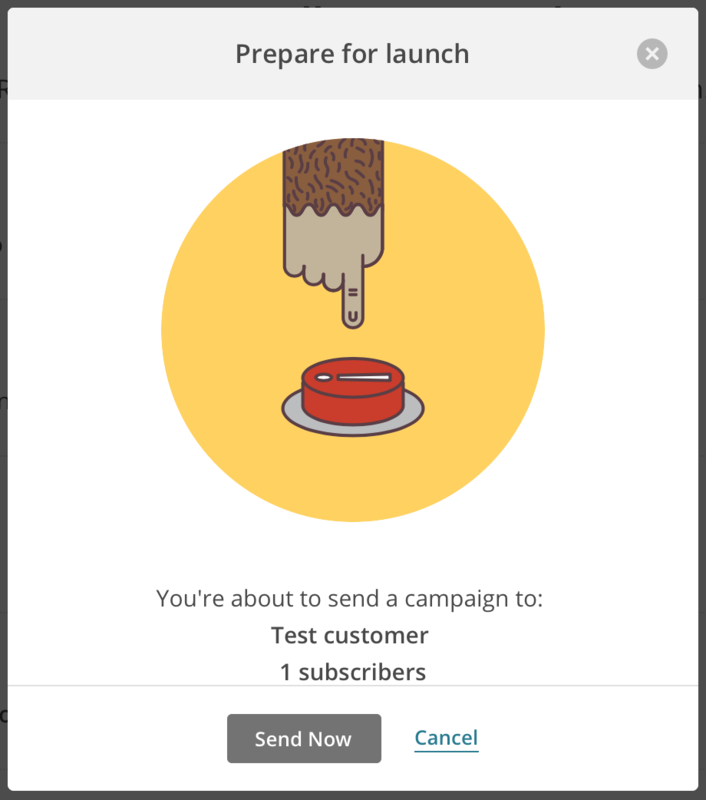 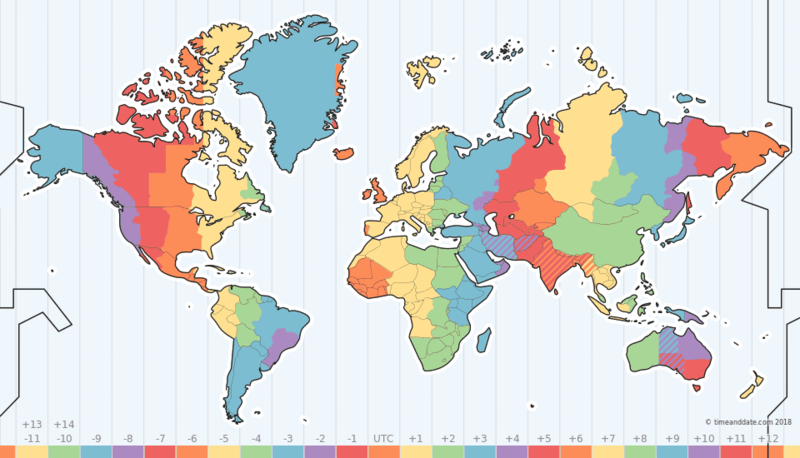 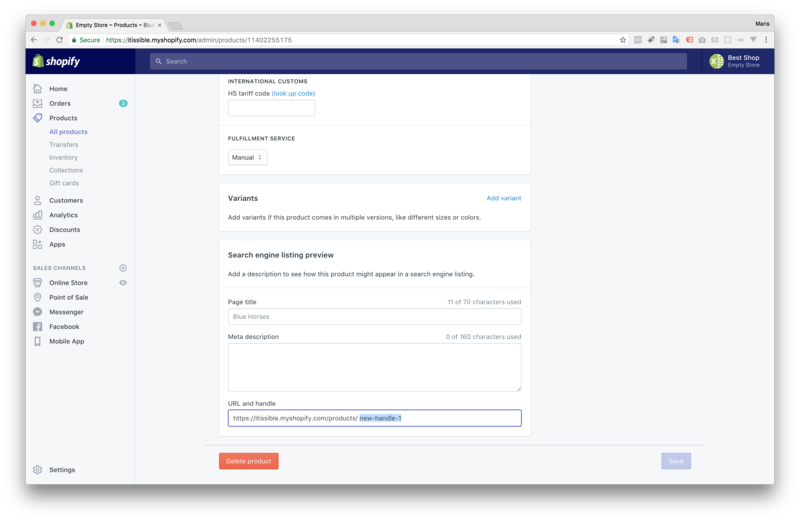 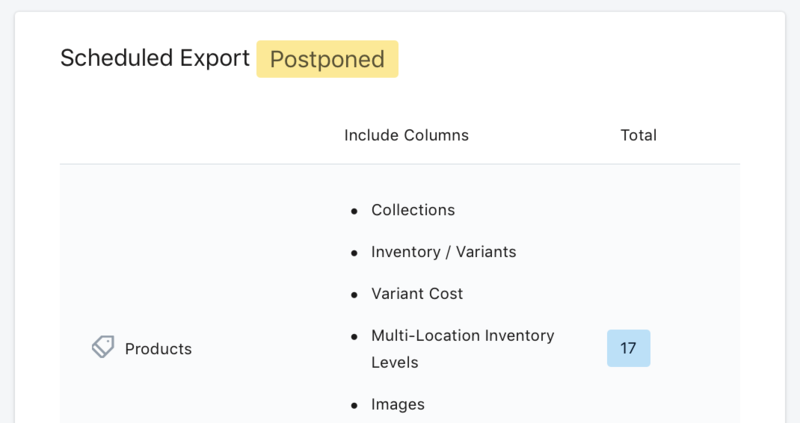 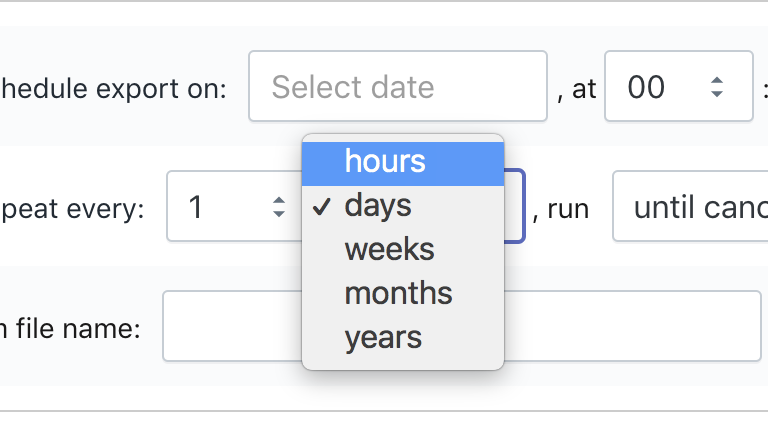 Now you can schedule and auto-rerepeat export or import to Shopify at hourly intervals, too. 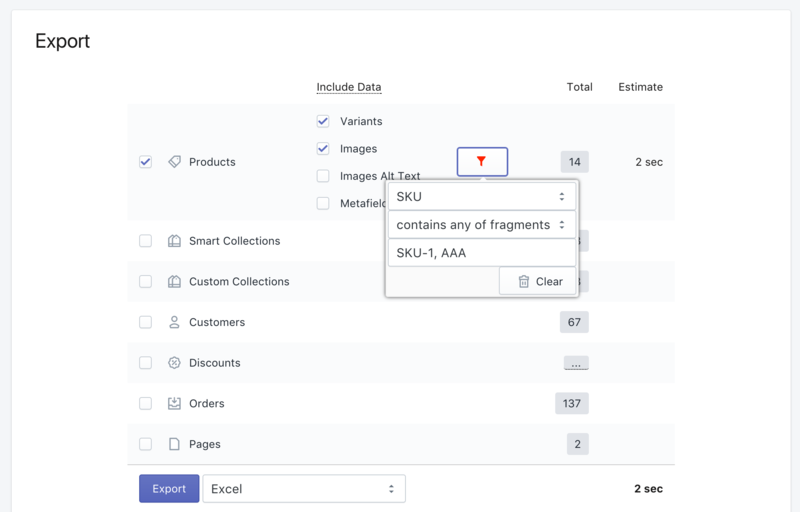 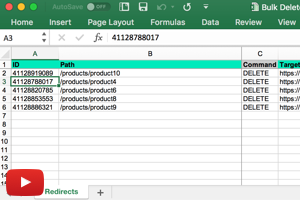 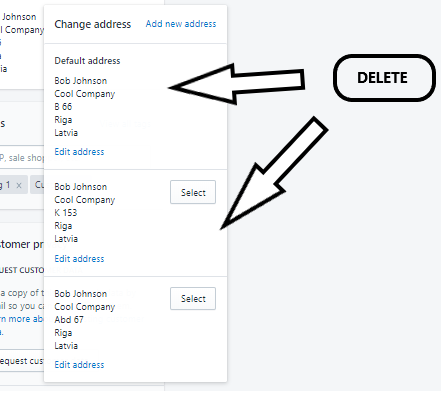 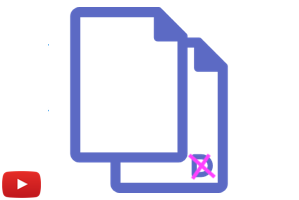 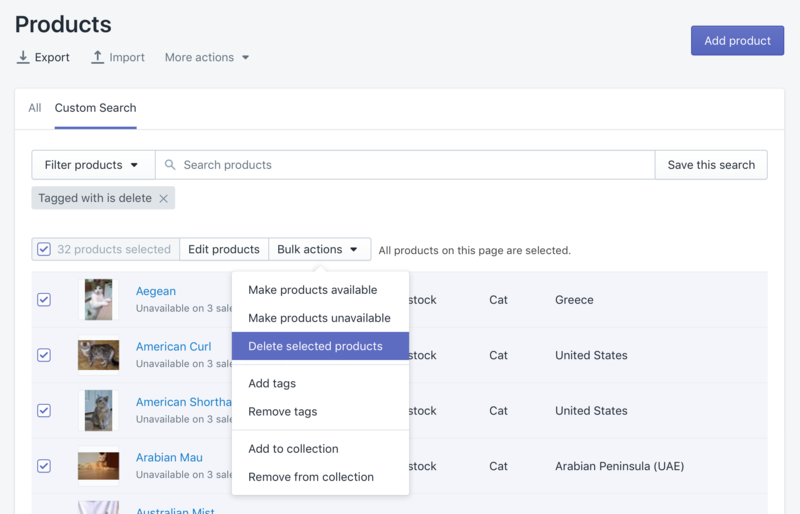 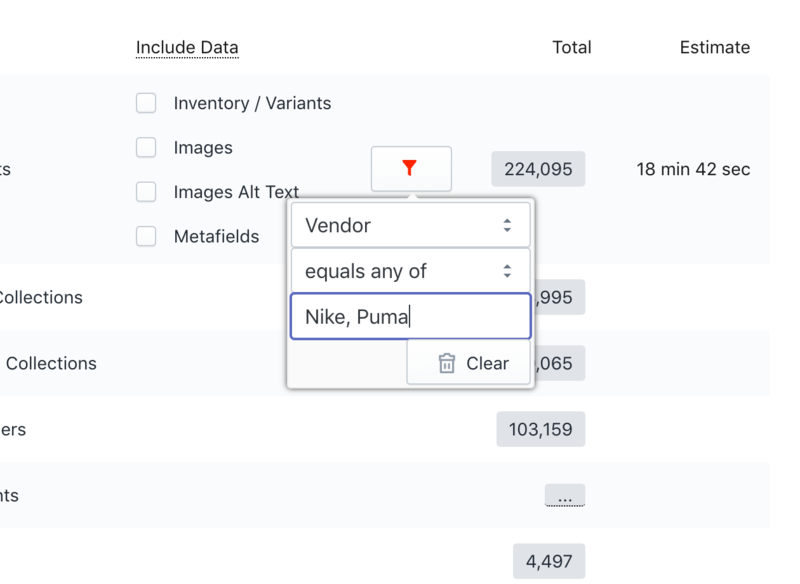 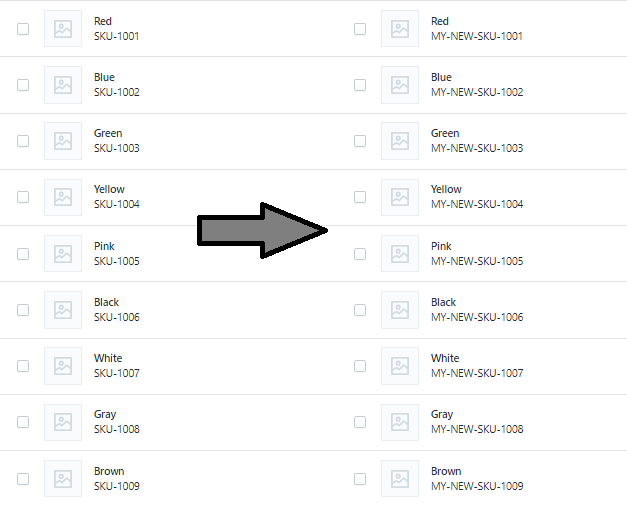 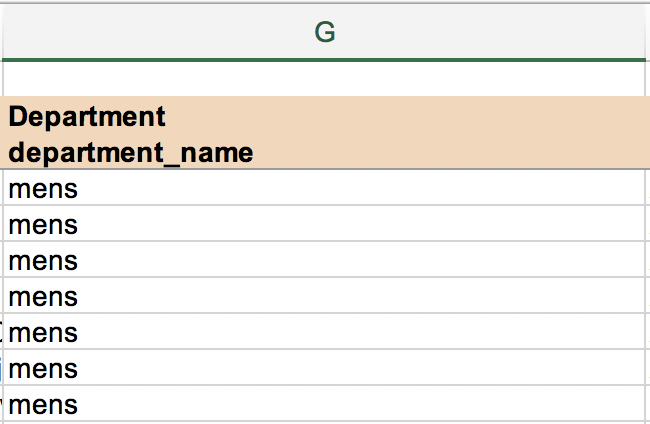 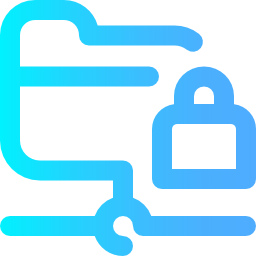 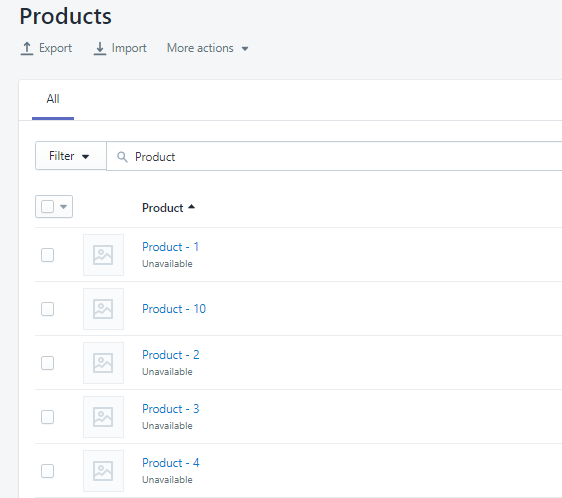 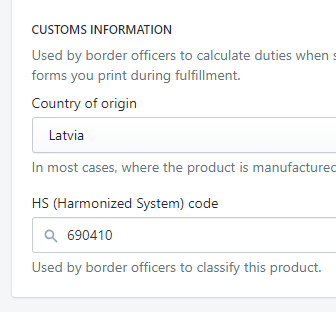 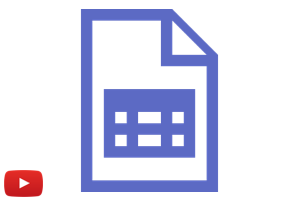 Filter Products export by SKU "not equal to any of"
When exporting Products, the export contains the URL column, which takes to the Product page. 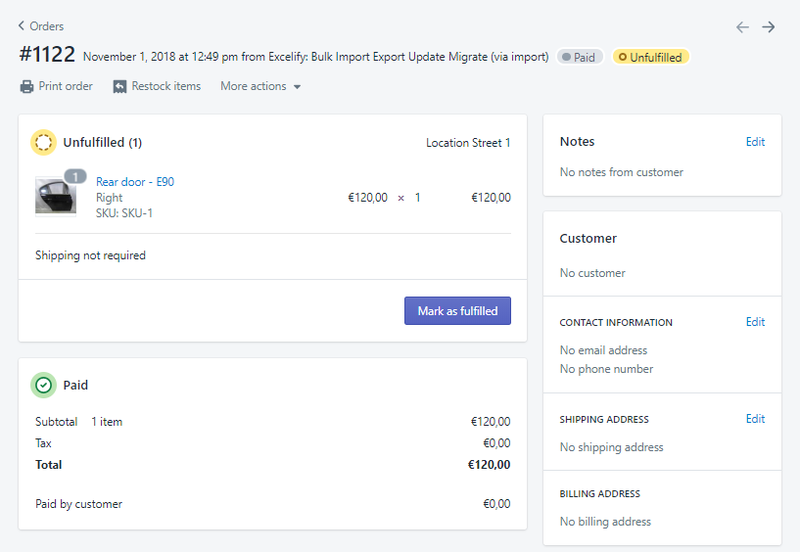 How to update Shopify Products by SKU? 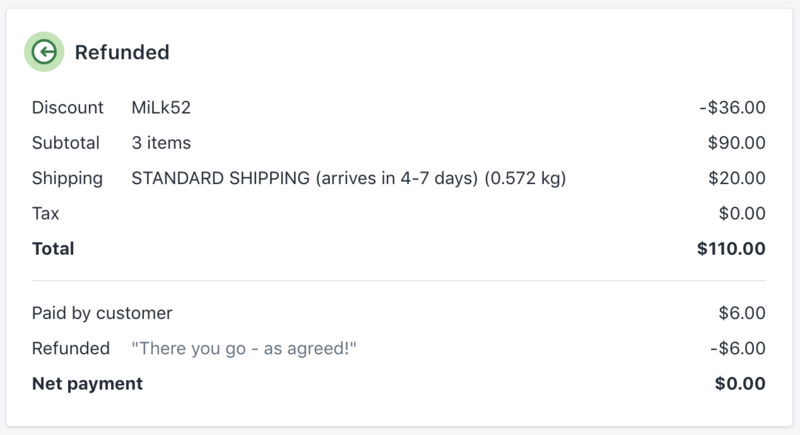 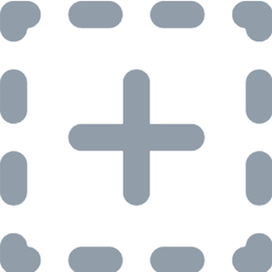 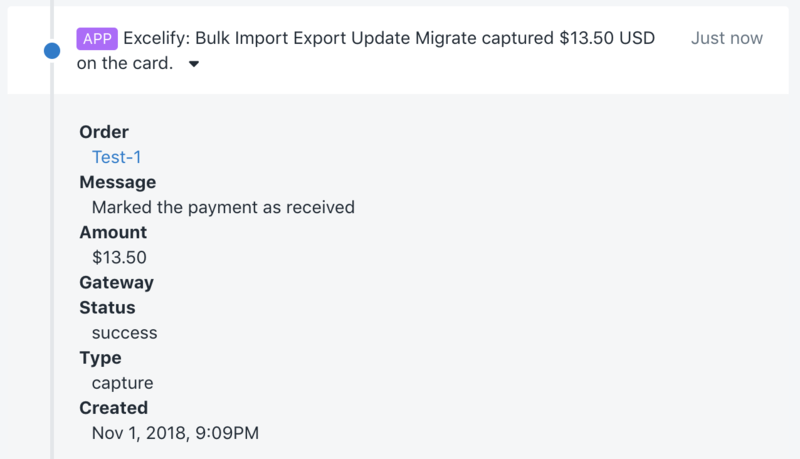 Shopify Orders import is here! 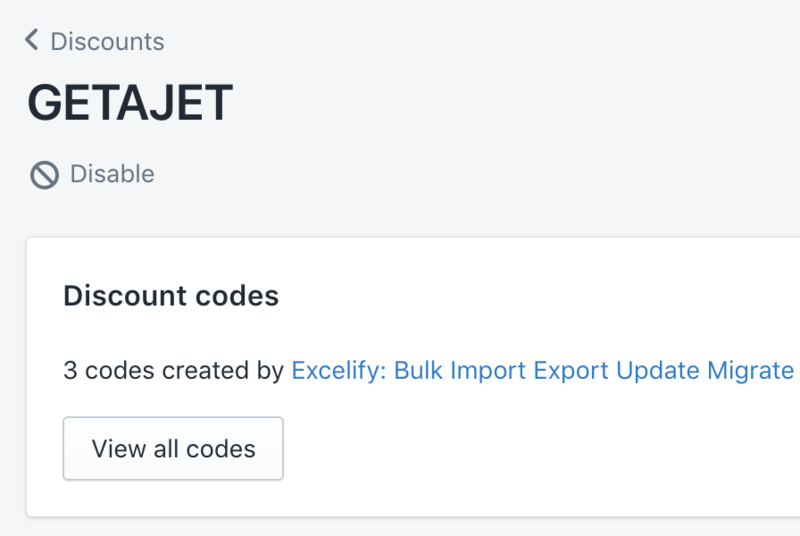 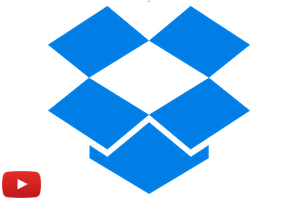 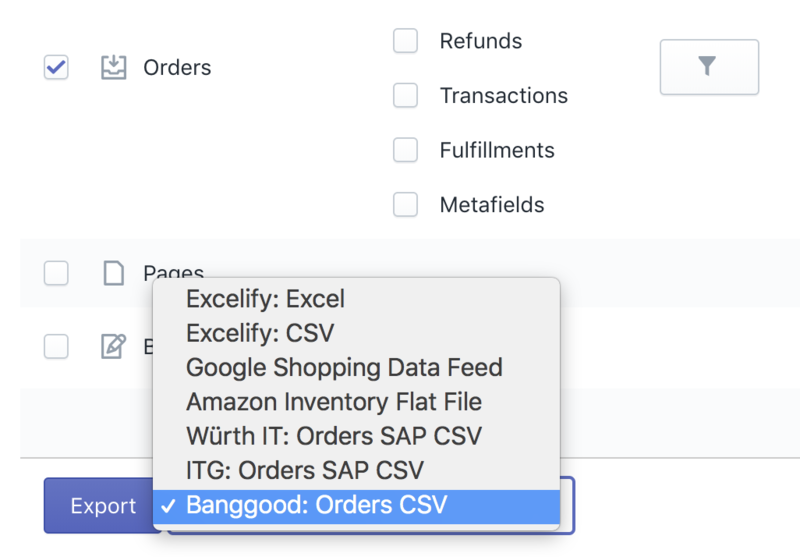 You can sell your Shopify products on Amazon by exporting from Shopify and importing to Amazon in bulk using Bulk Import Export Update with Excel app. 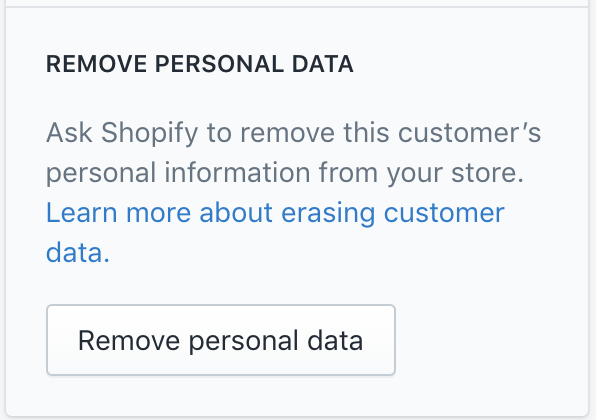 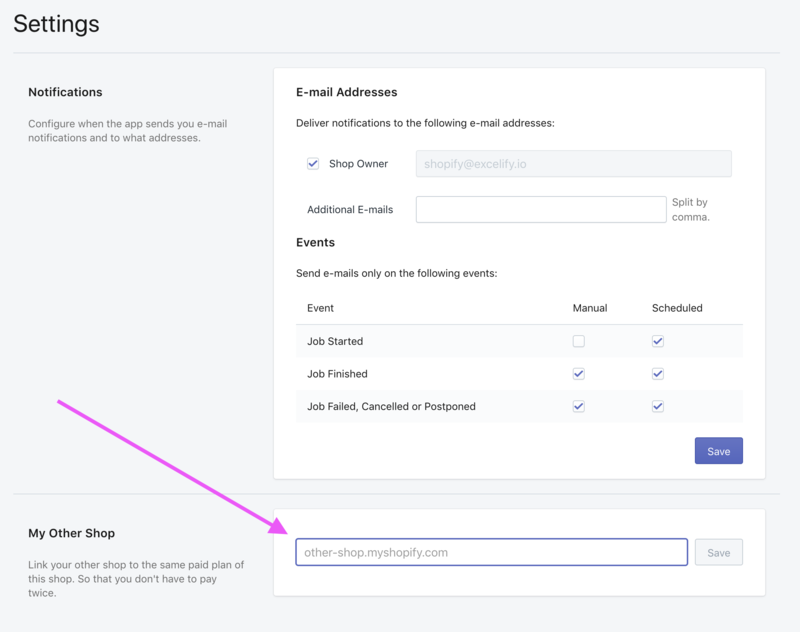 From the Shopify side, your products should have certain information filled in. 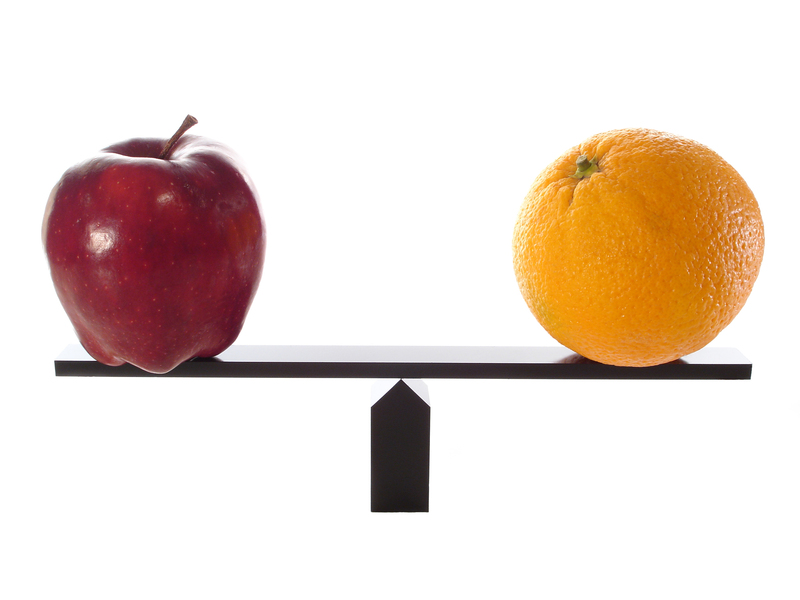 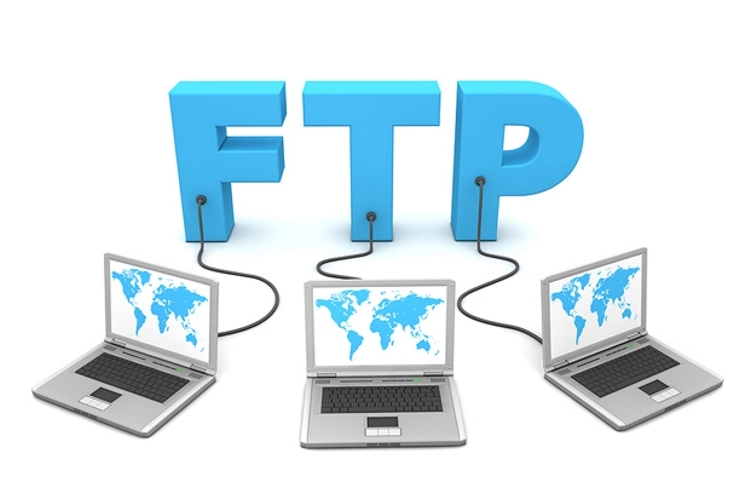 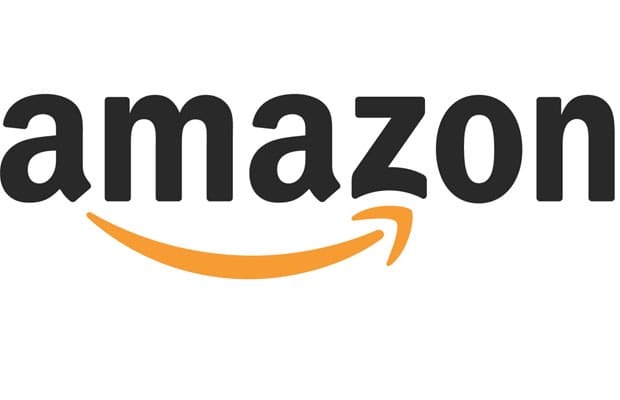 From the Amazon side, you need the Professional Merchant account. 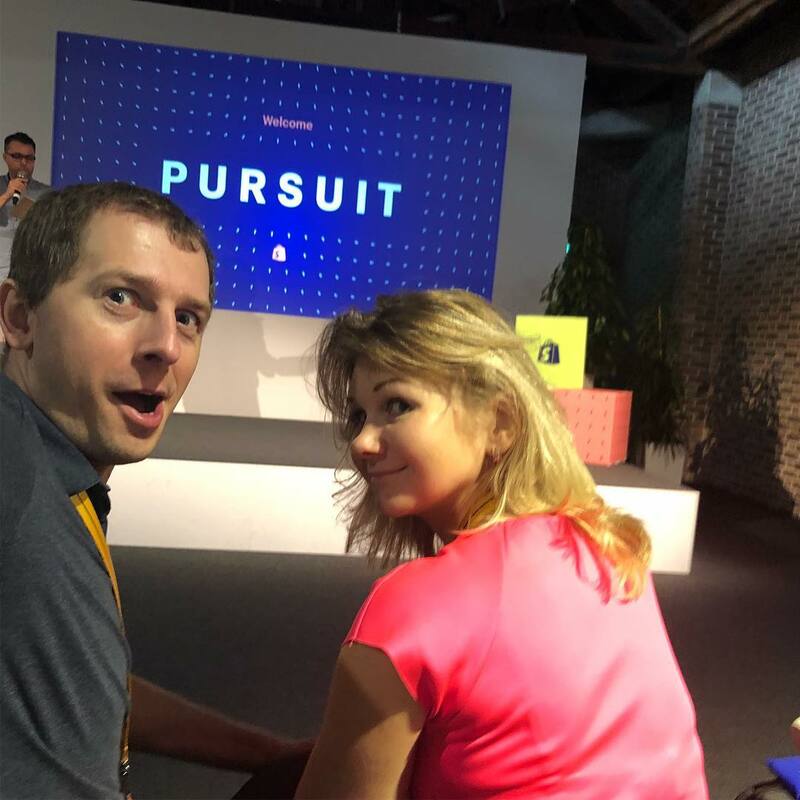 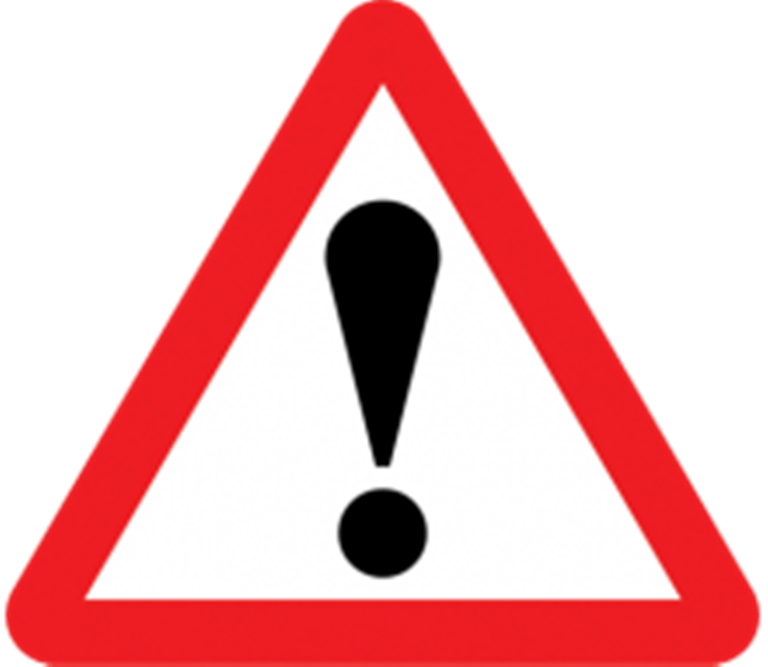 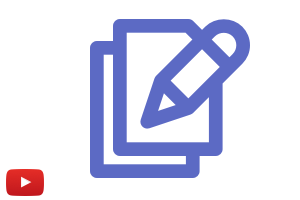 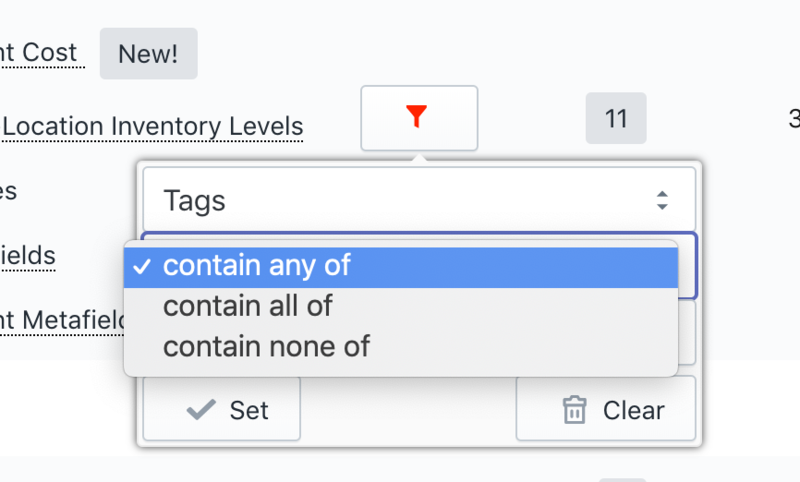 There are some constraints from the Amazon, what and how you can add to your listings, those will be applied to uploads as well. 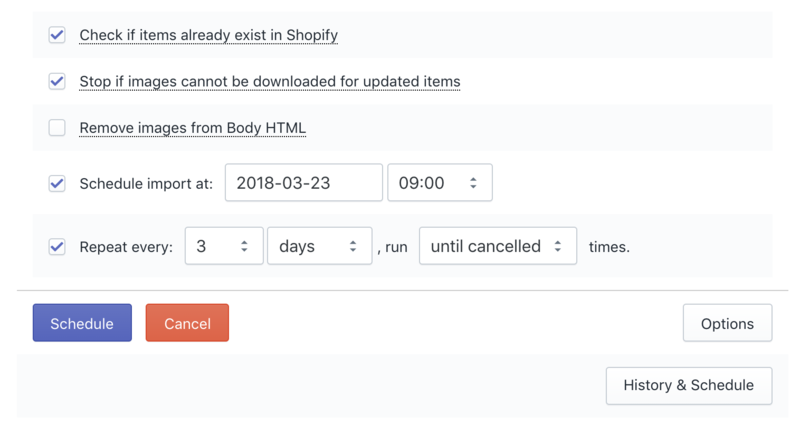 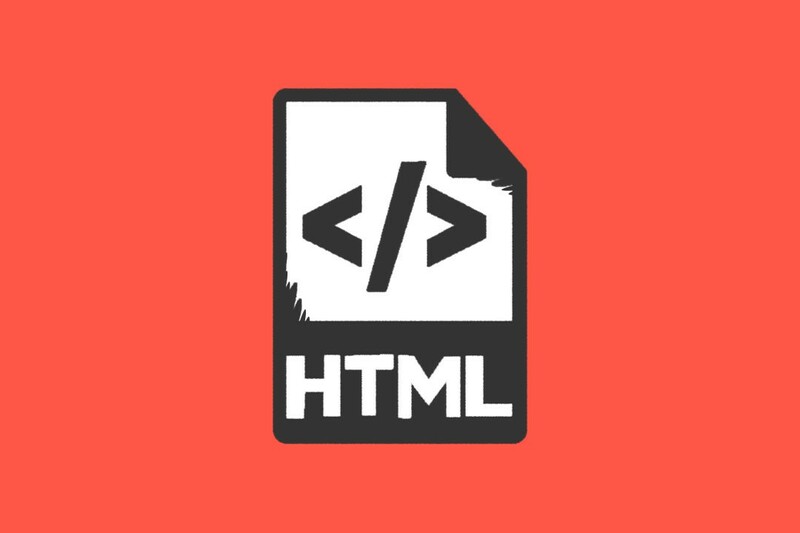 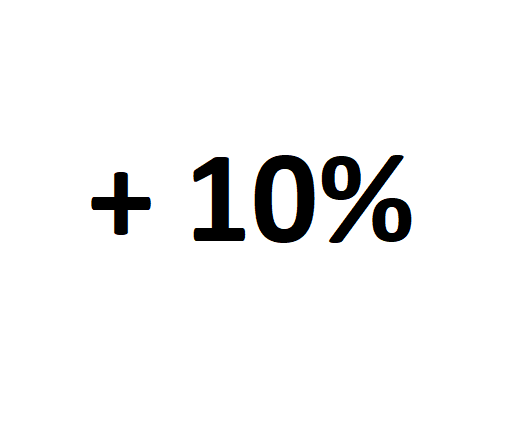 How to remove images from Shopify Body HTML descriptions? 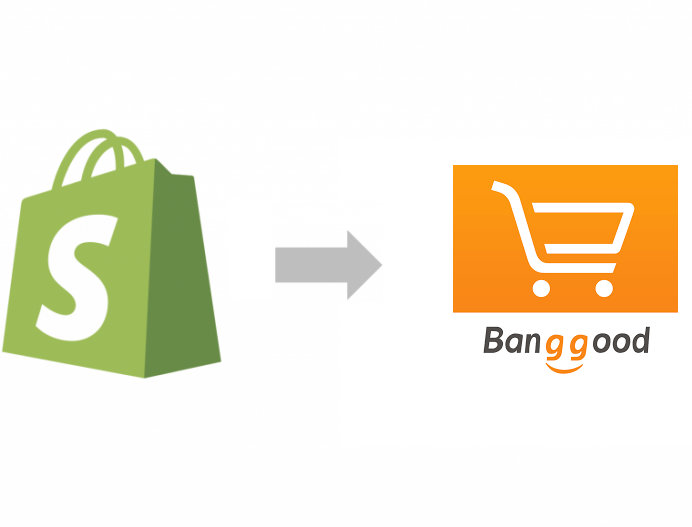 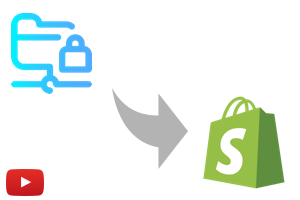 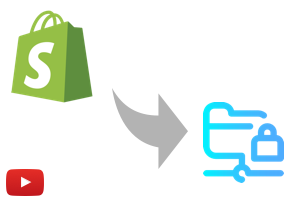 How to migrate customers to your new Shopify store and activate their new accounts? 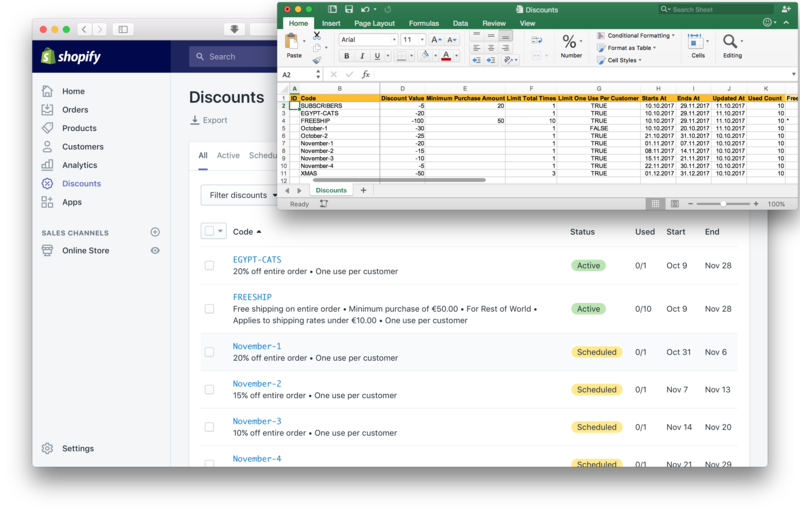 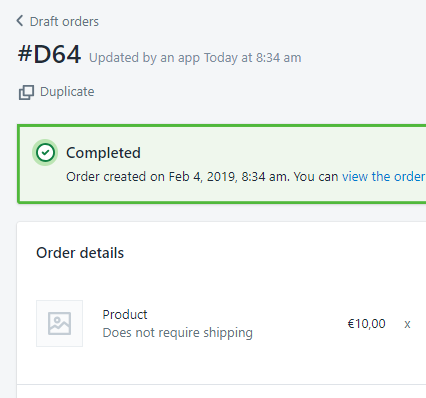 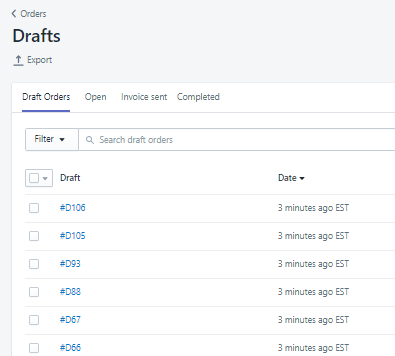 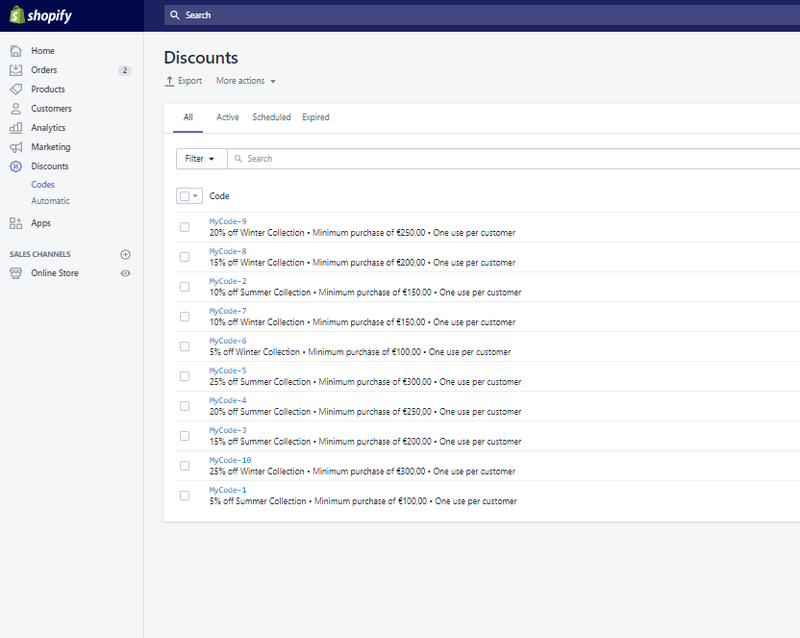 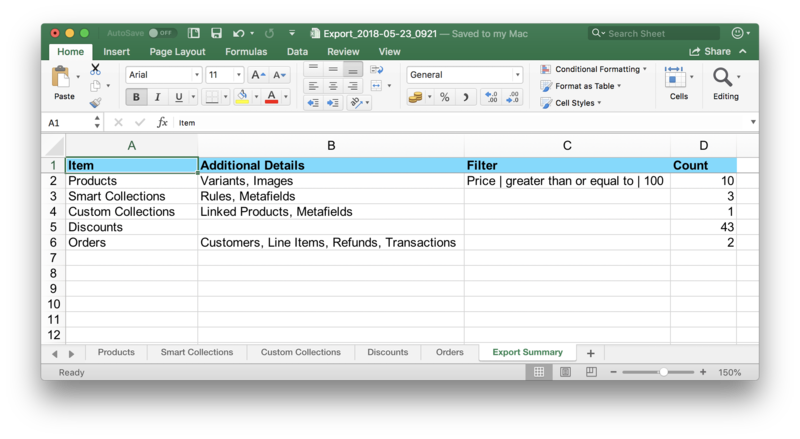 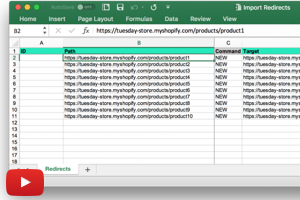 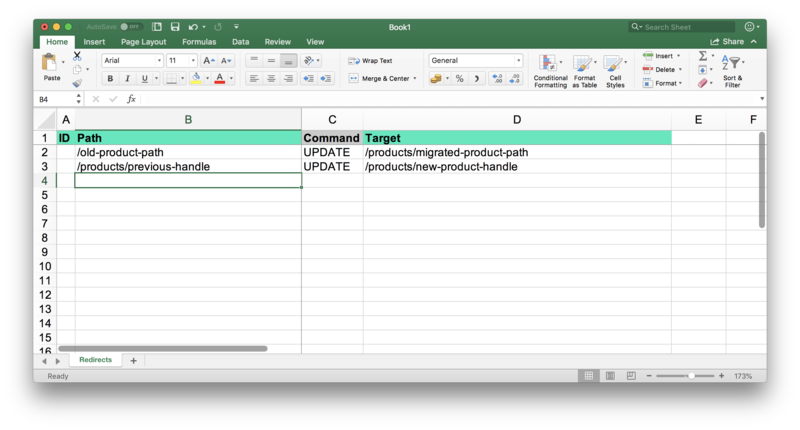 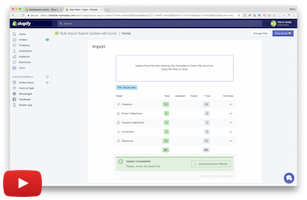 Added Shopify Pages export and import with Excel. 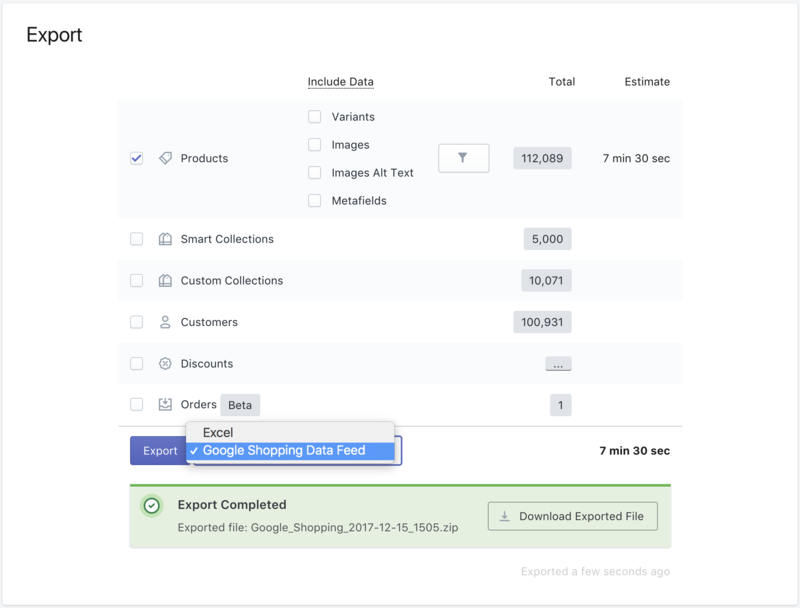 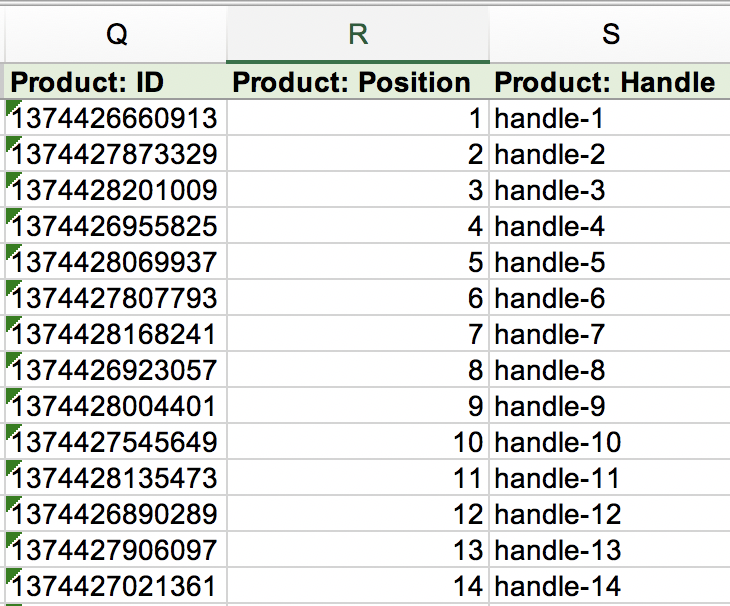 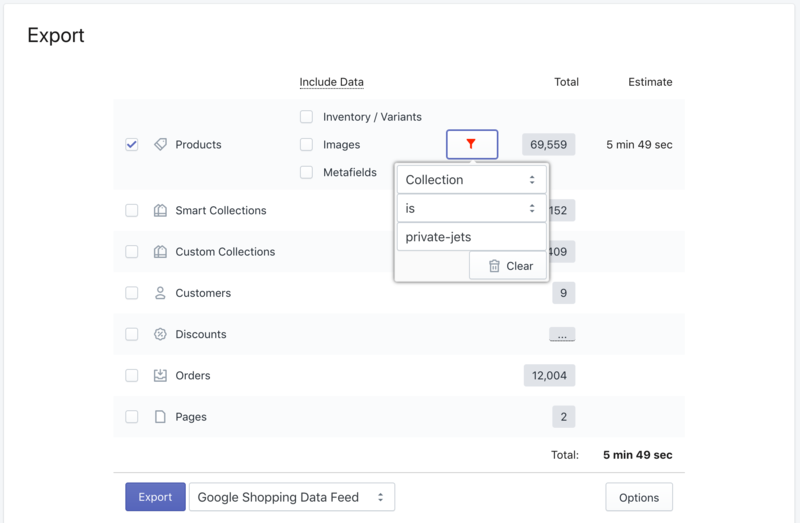 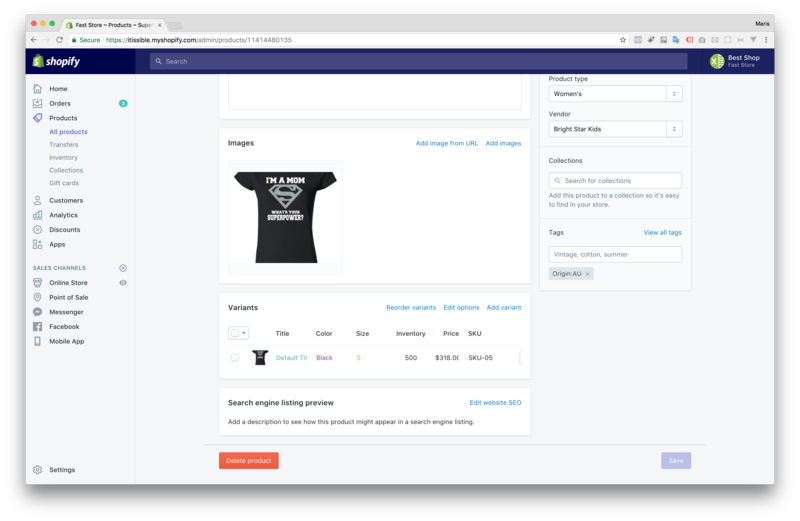 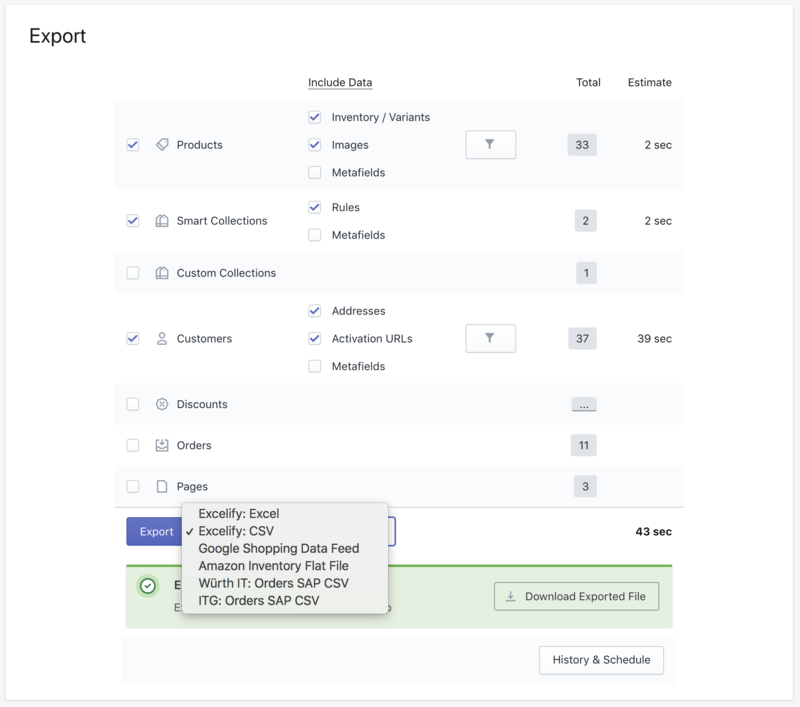 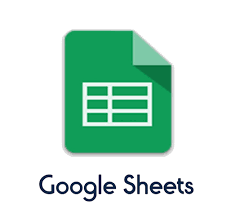 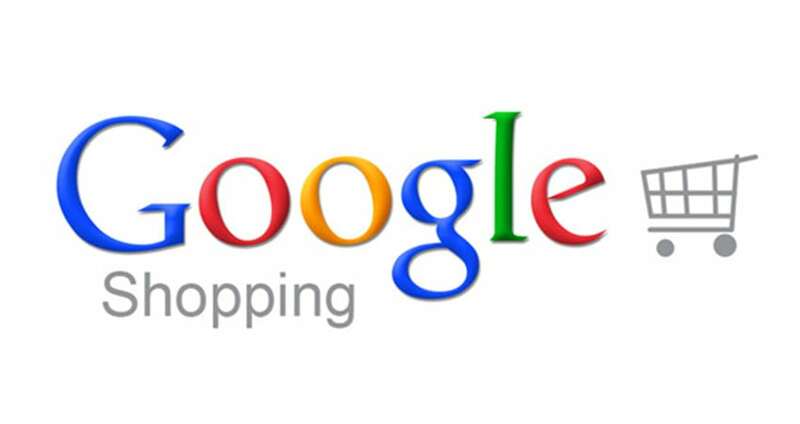 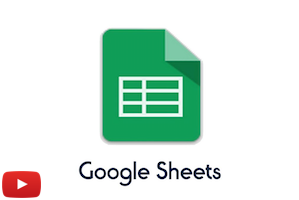 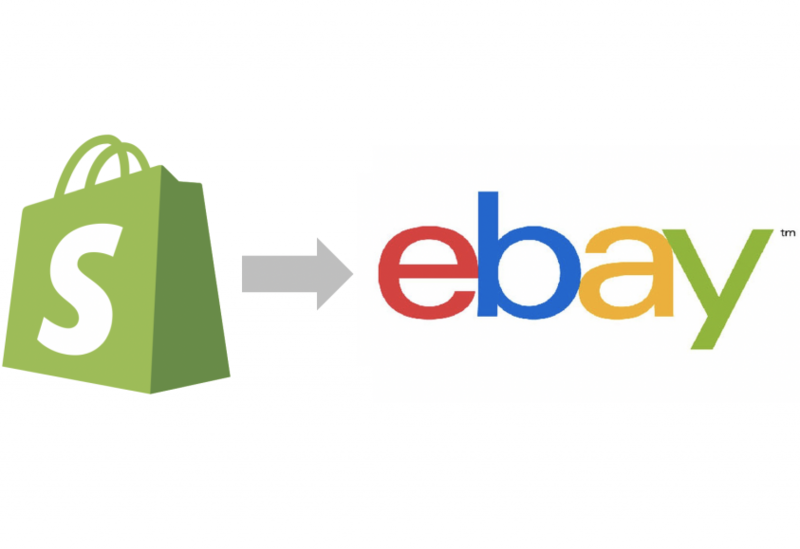 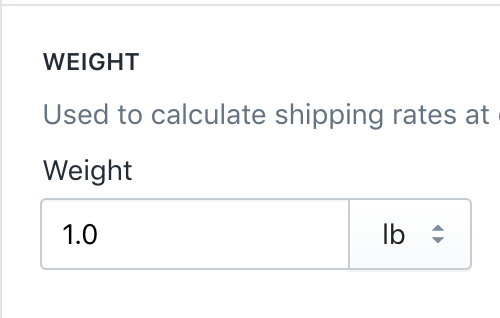 You can export your Shopify Products to Google Shopping Data Feed file. 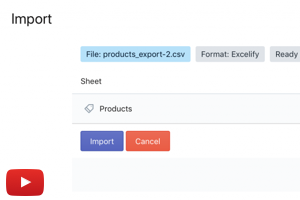 Select the export format next to Export button. 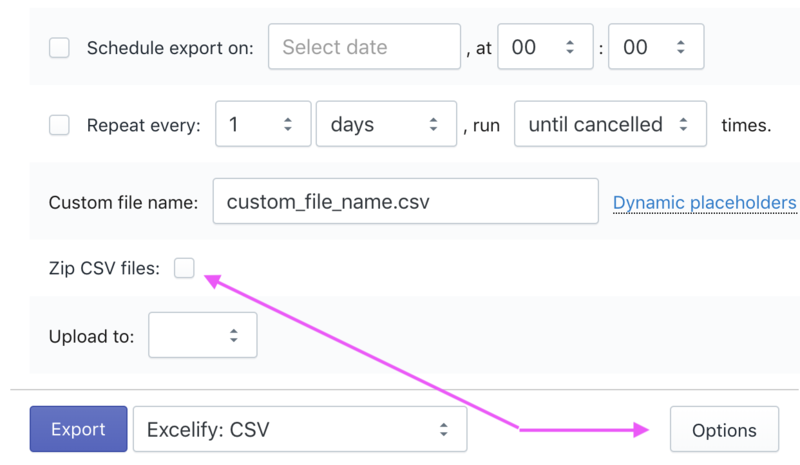 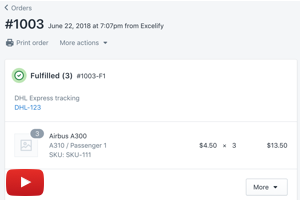 What is the difference between Shopify CSV and Excelify.io Products import and export? 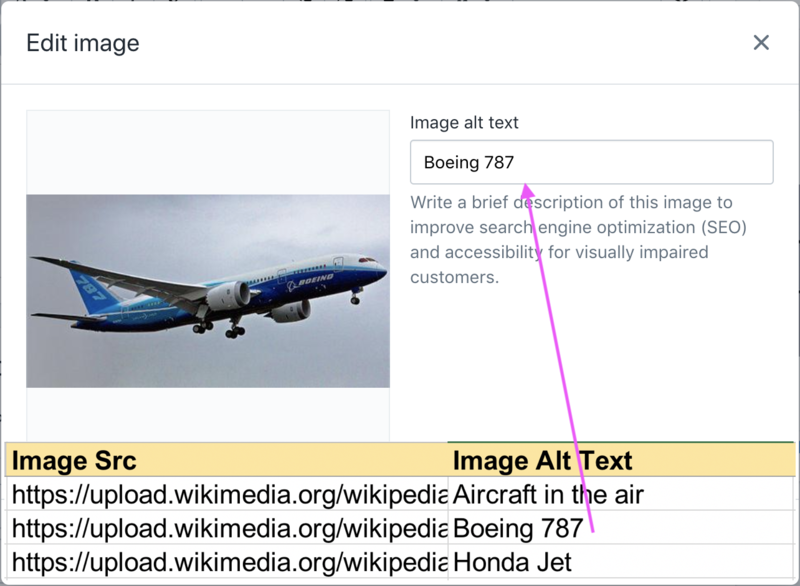 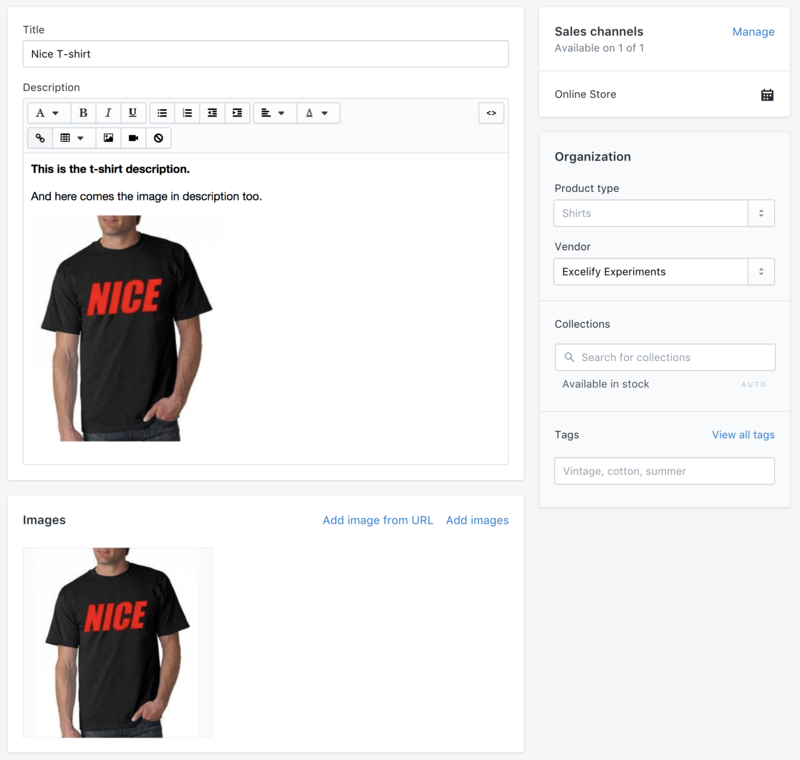 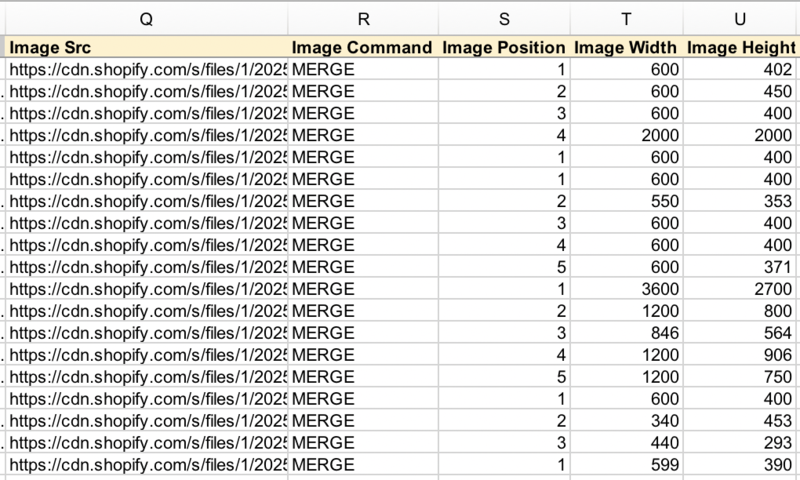 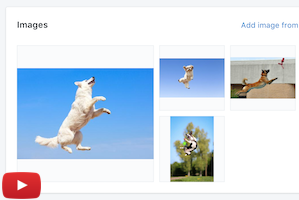 You can export and import Image Alt Text field for Products, and update alt text by importing that back. 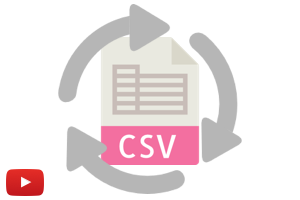 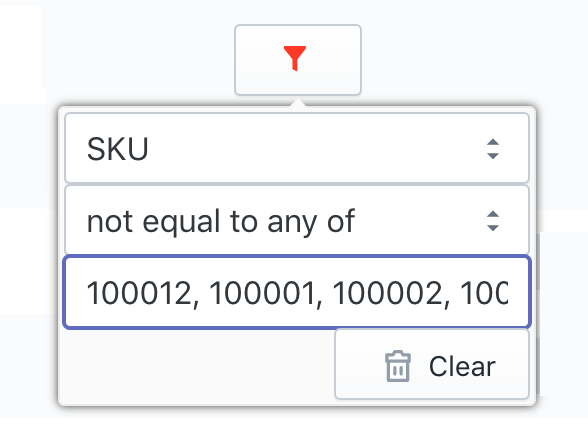 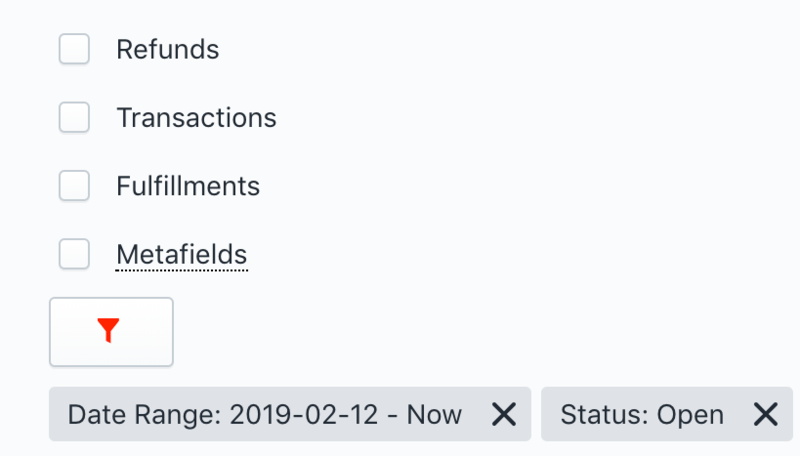 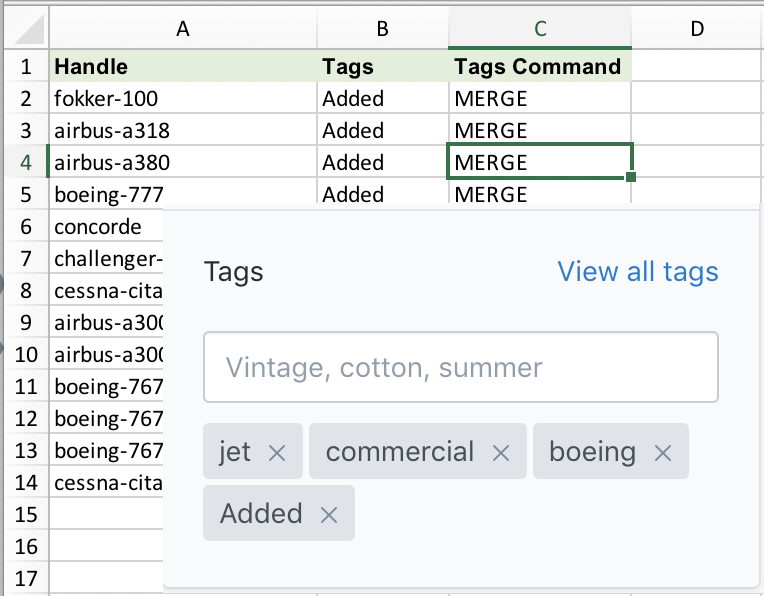 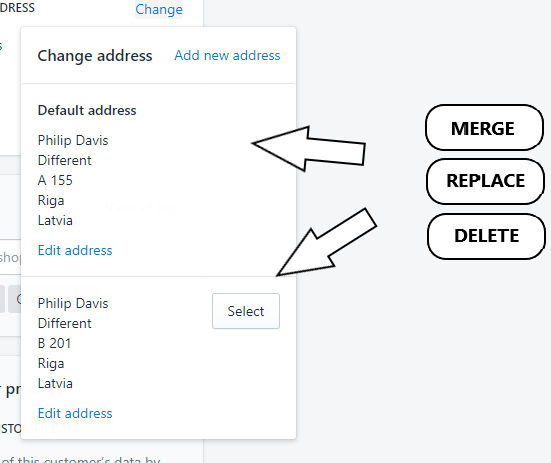 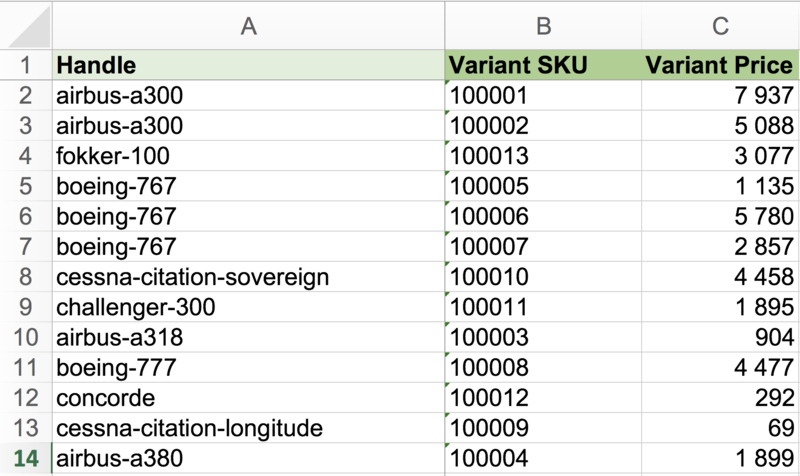 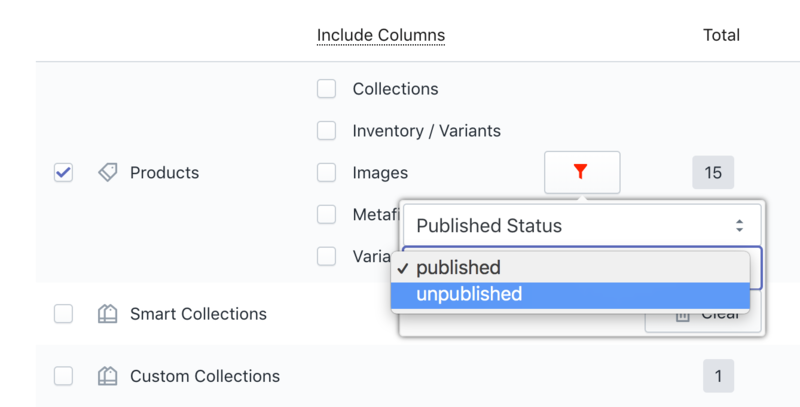 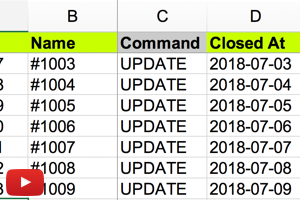 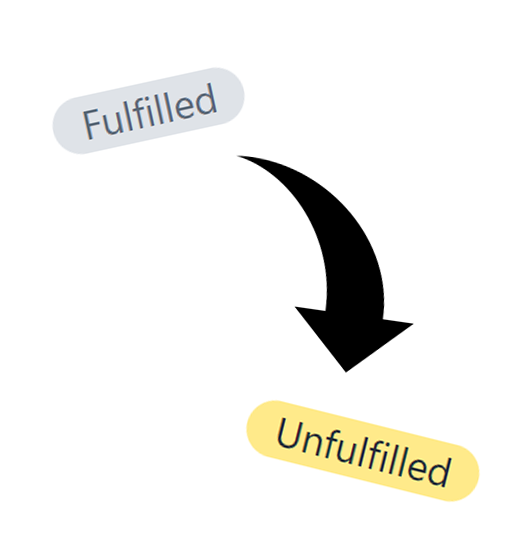 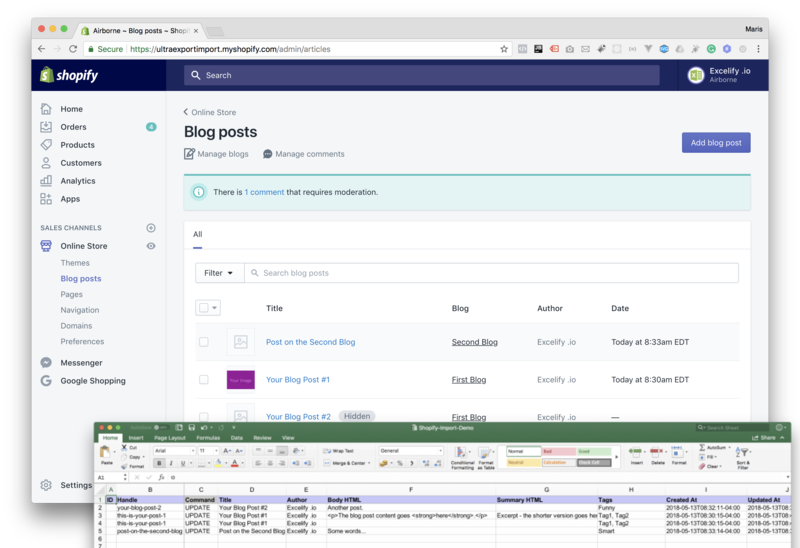 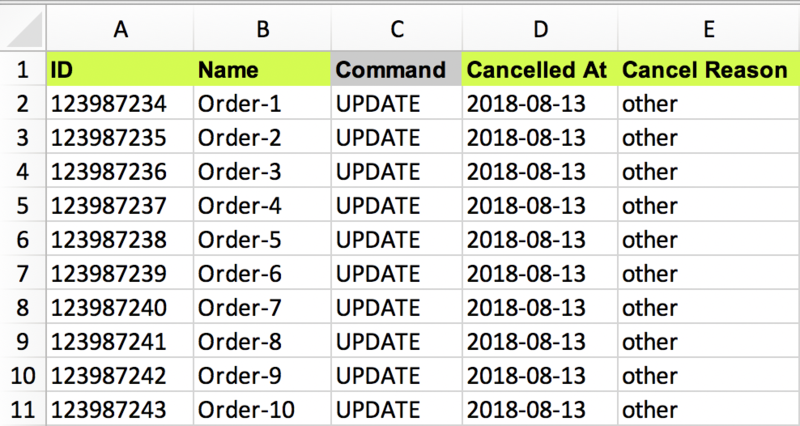 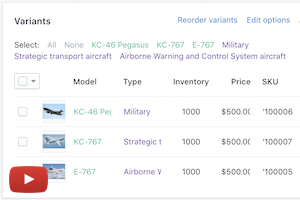 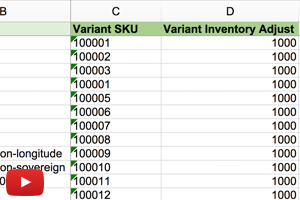 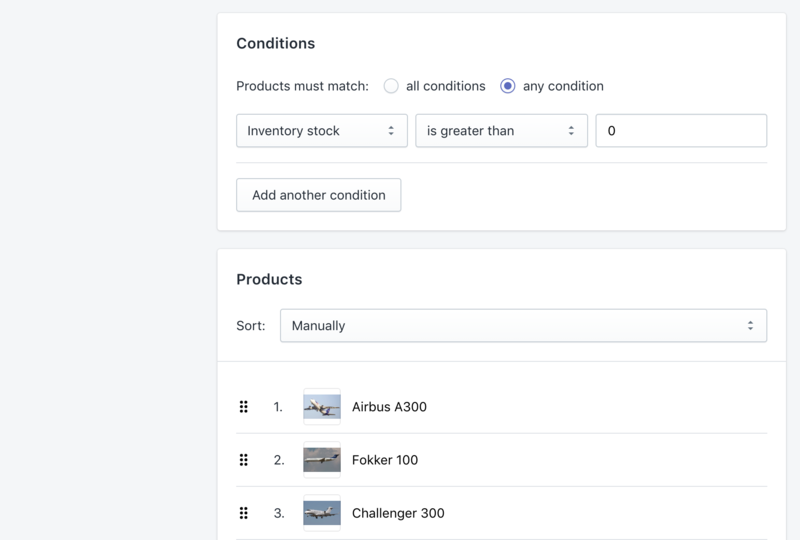 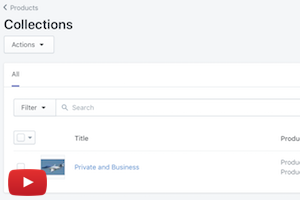 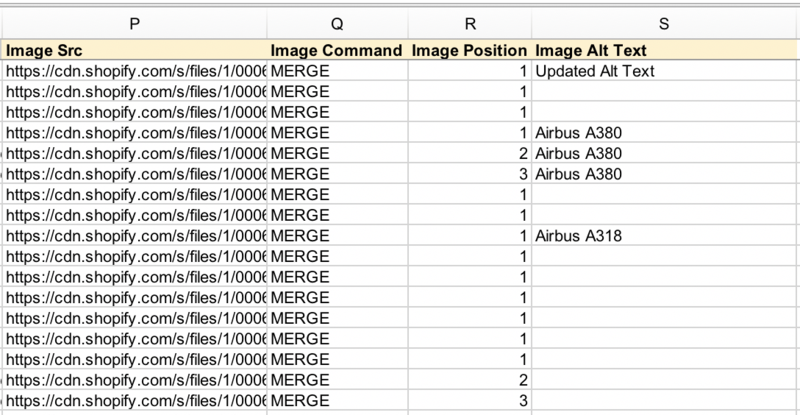 Product variant reordering can now be done by changing “Variant Position” number and importing that column in as update. 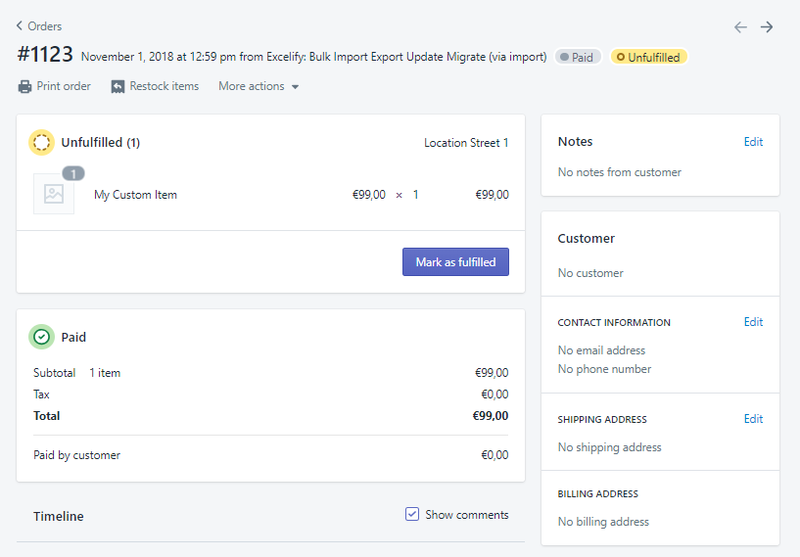 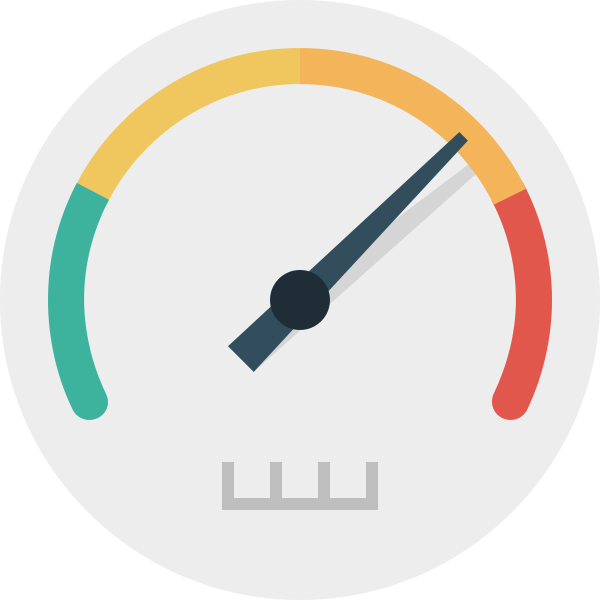 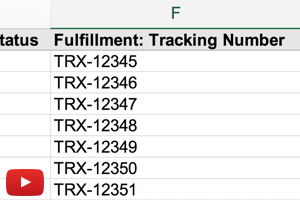 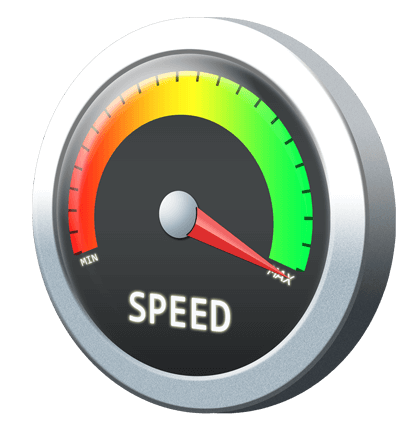 How to maximize Shopify bulk import speed? 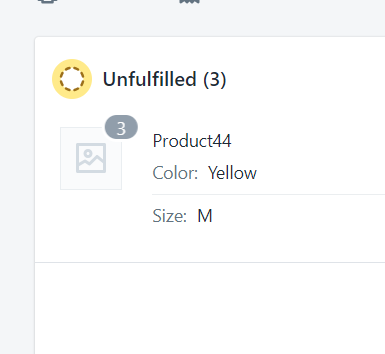 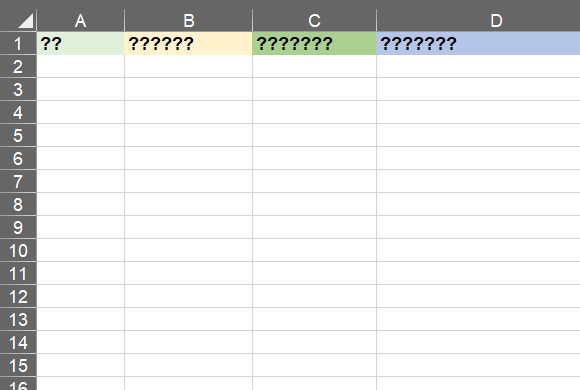 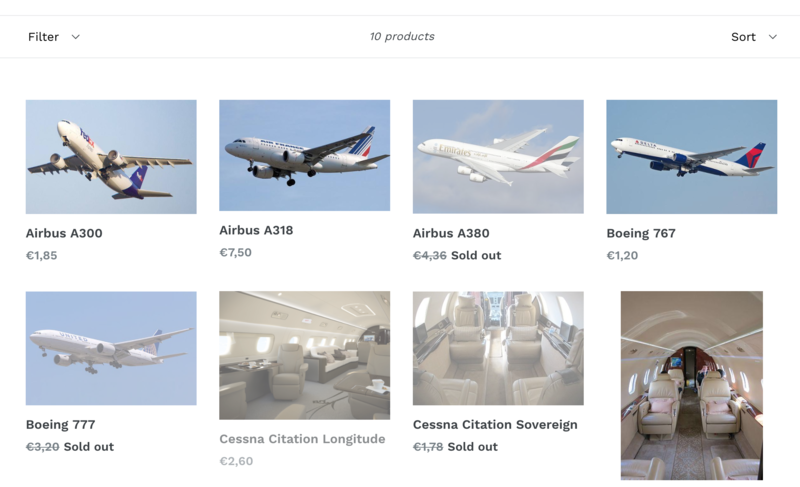 How to import several product images from one row? 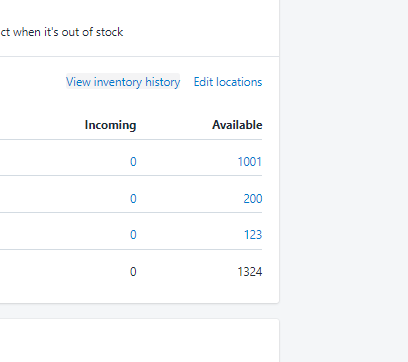 How To Clone Your Shopify Store?